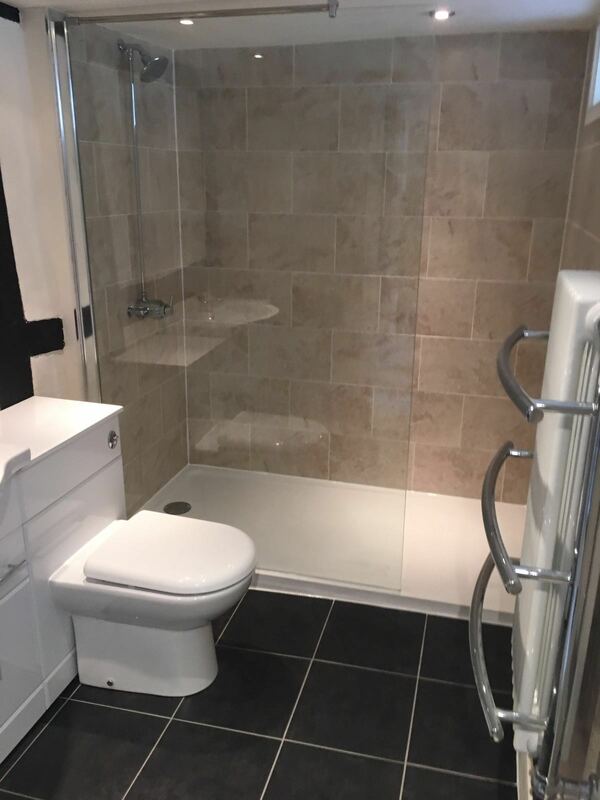 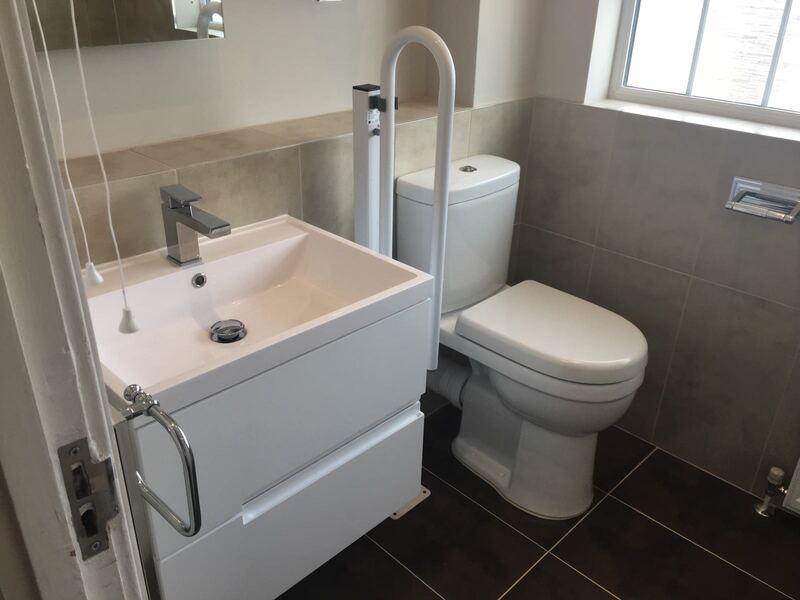 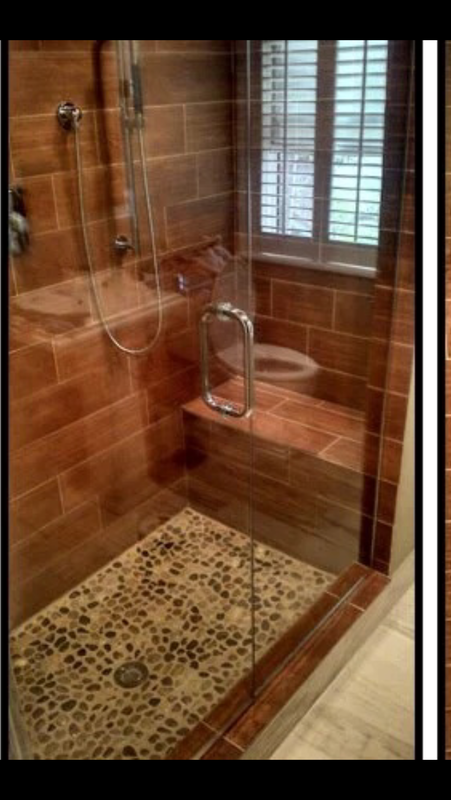 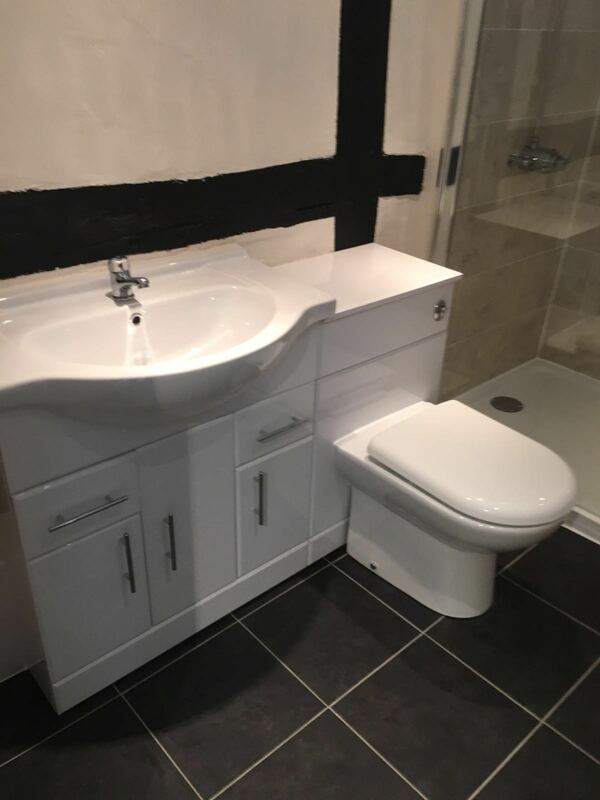 Upstairs and Downstairs Bathrooms supplied and fitted in Edenbridge. 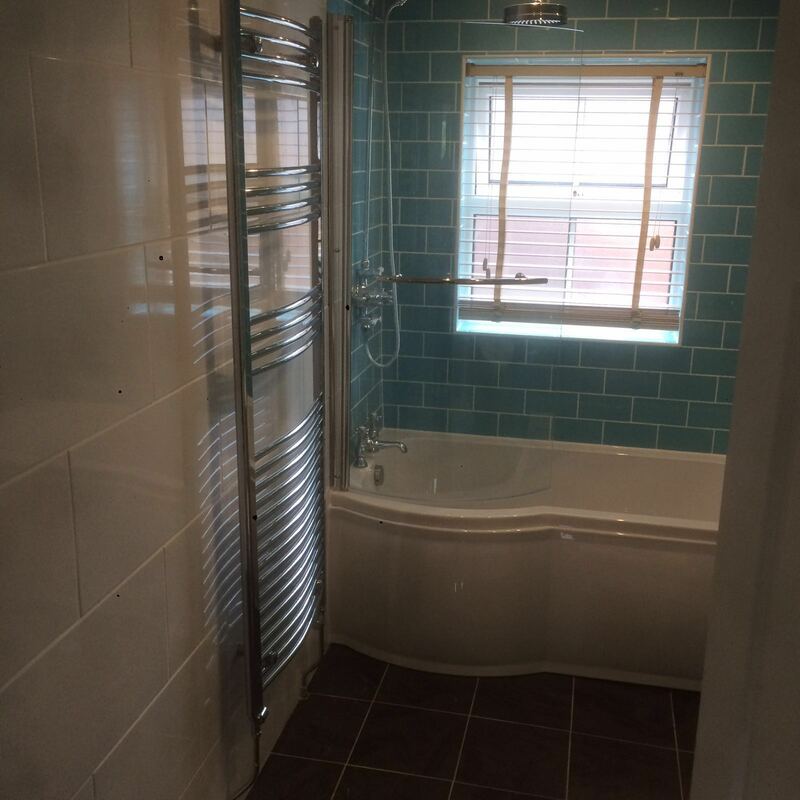 Including plumbing, central heating work, new boiler fitted, floor re-boarded and floor tiling. 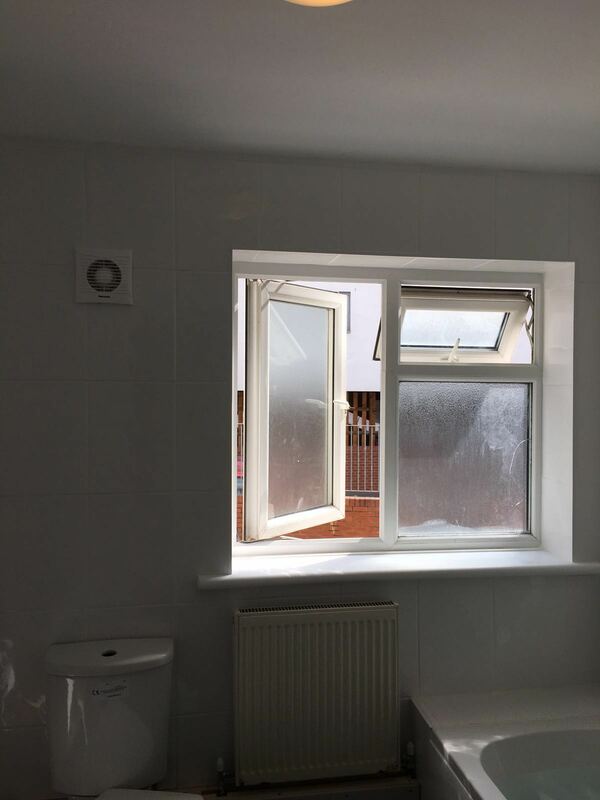 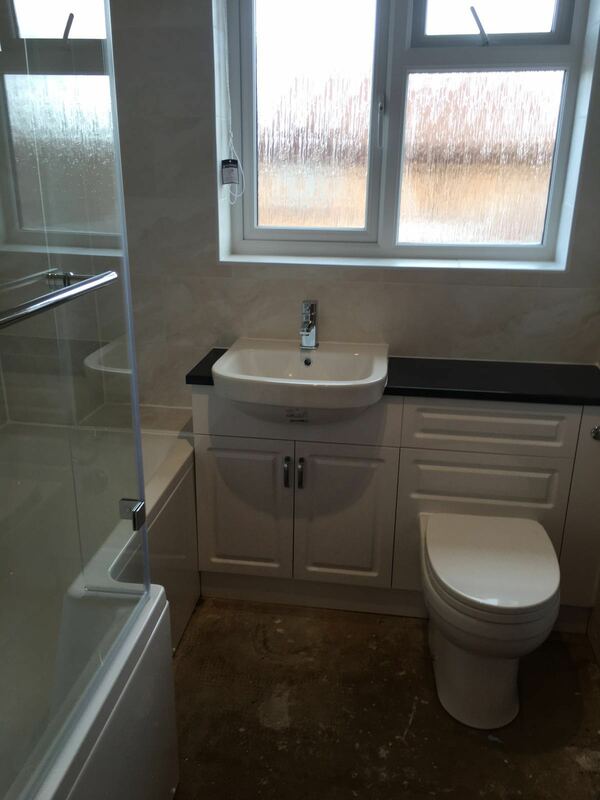 Bathroom Supplied & fitted by AC Installations in Kent. 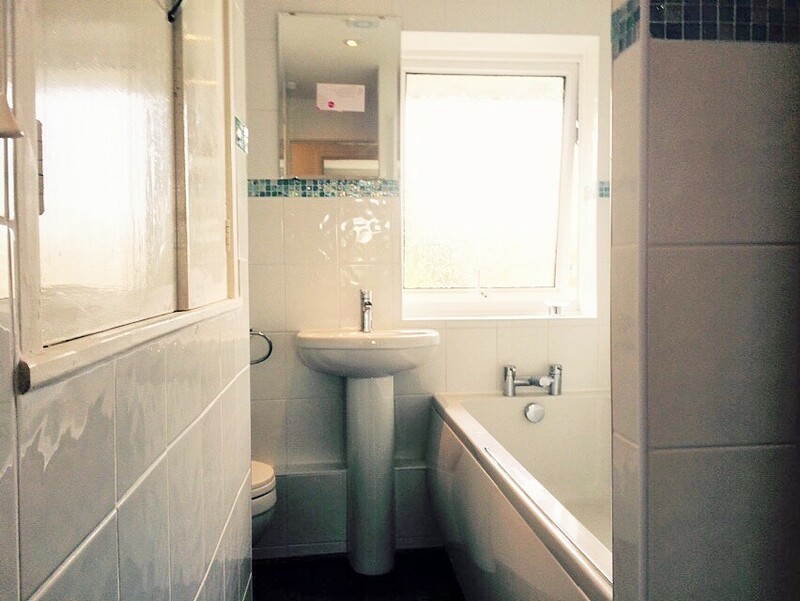 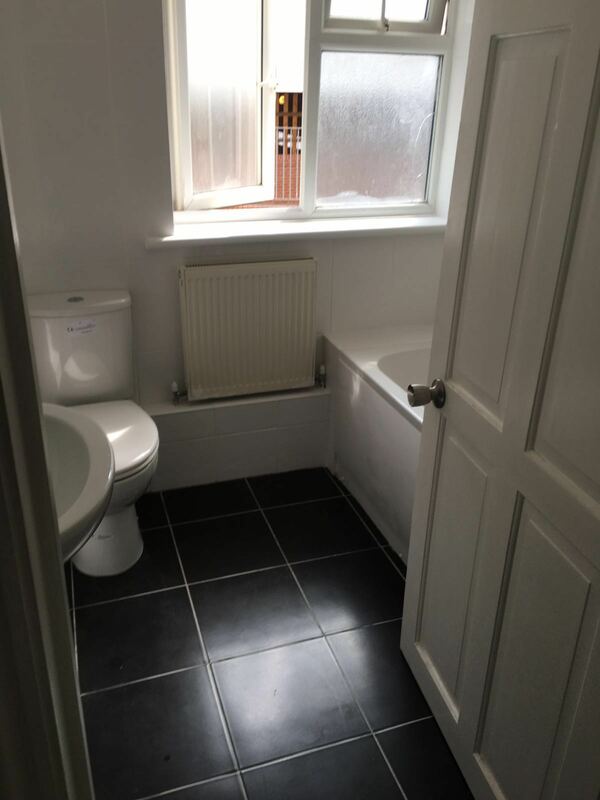 Including re-boarded throughout, plumbing, electrics, under floor heating, wall & floor tiling. 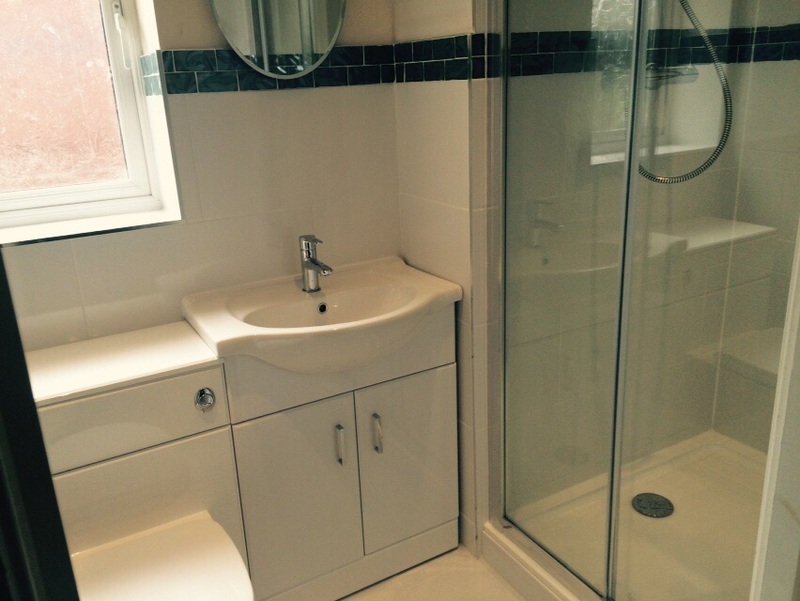 Bathroom Supplied & fitted in Loose. 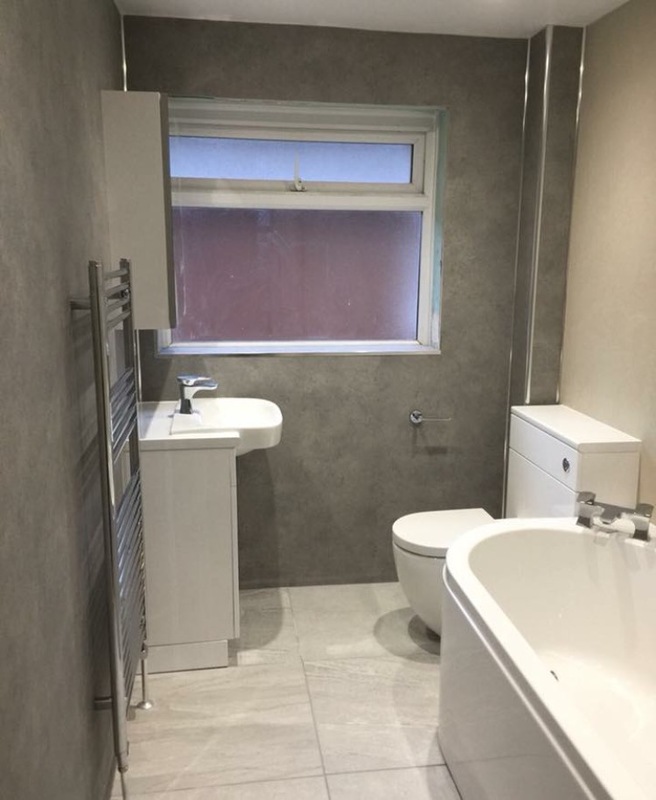 Including walls removed & rebuilt with sound proofing, new plaster board walls, new ceiling with spot lights, under floor heating , wall and floor tiling. 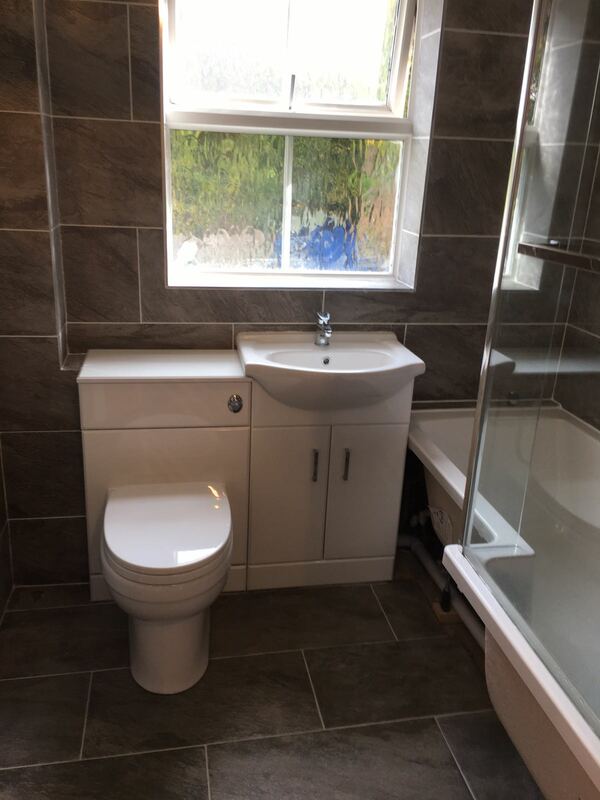 New Bathroom Supplied & fitted in Tonbridge. 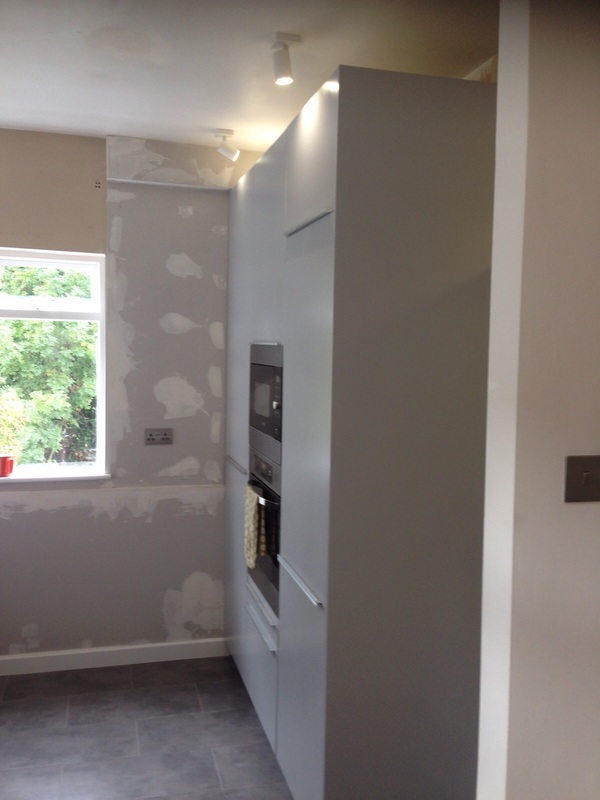 Including walls studded out, New sub floor, plumbing & central heating work, new ceiling with down lights and painting. 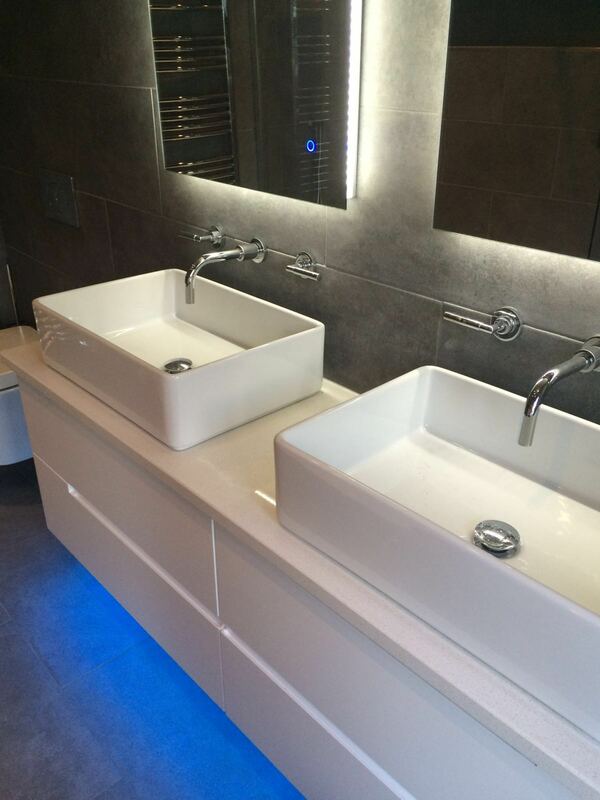 Including electrics , lighting, Tiling of walls and floor. 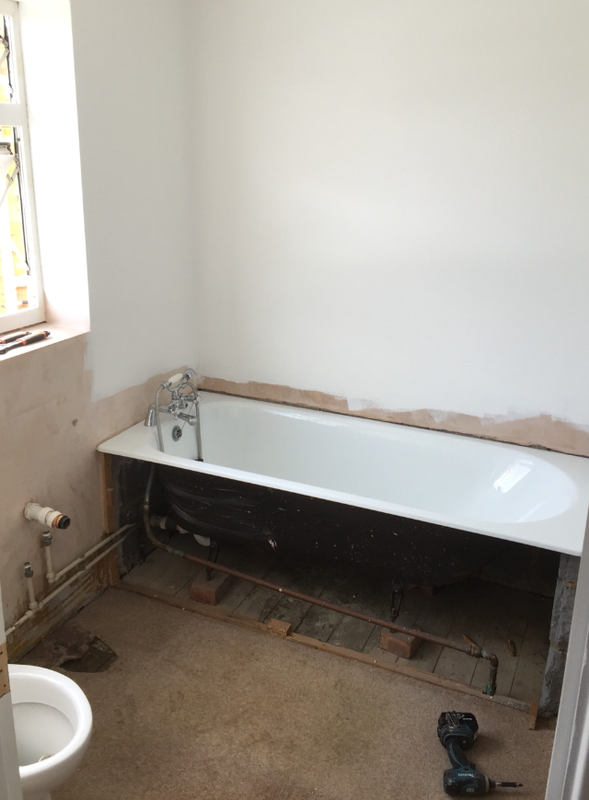 Full Bathroom Refit in Tonbridge. 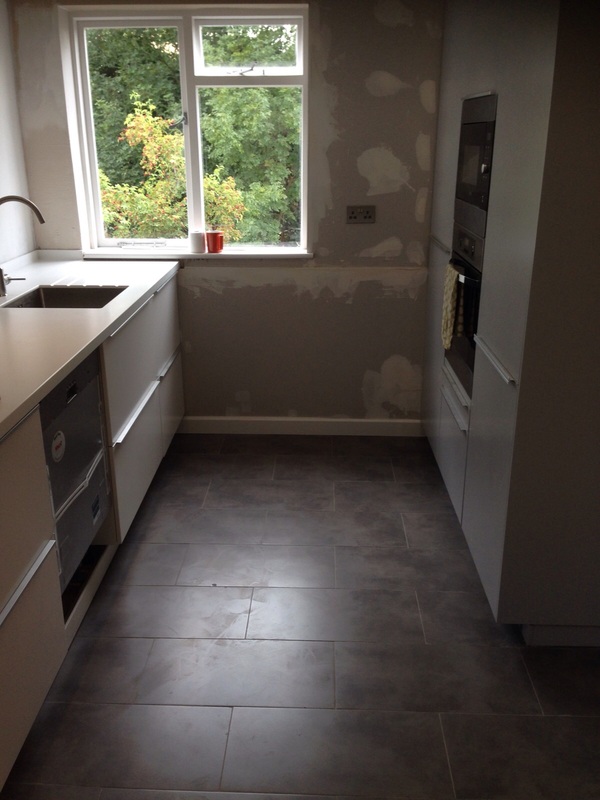 Including Electrics, Plumbing, Wall and floor tiling. 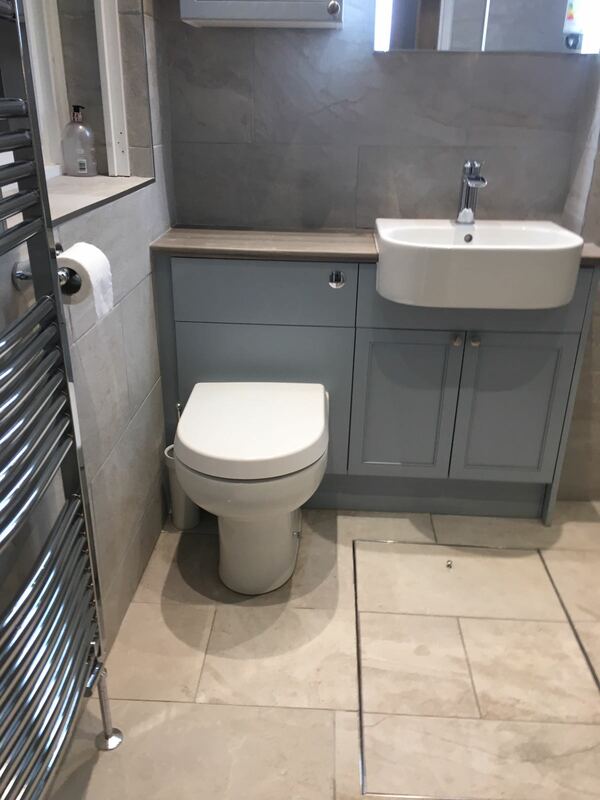 Full Bathroom re-fit completed in Maidstone. 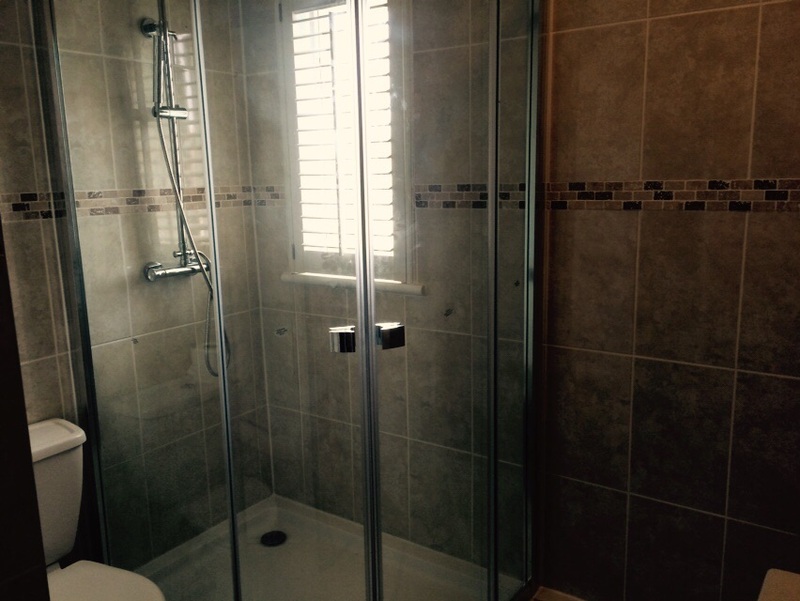 Including Electrics, Plumbing, Wall and floor tiling and fit radiator. 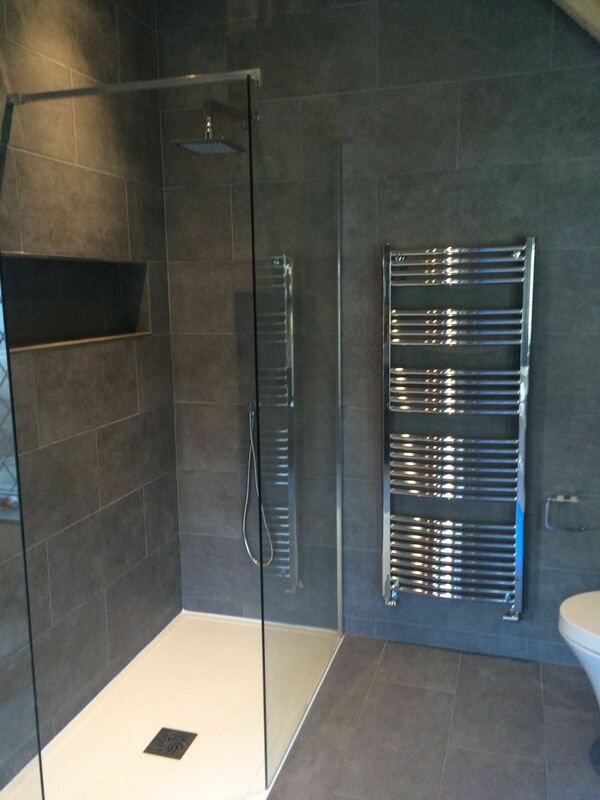 Full Bathroom Refit completed in Boughton Monchelsea. 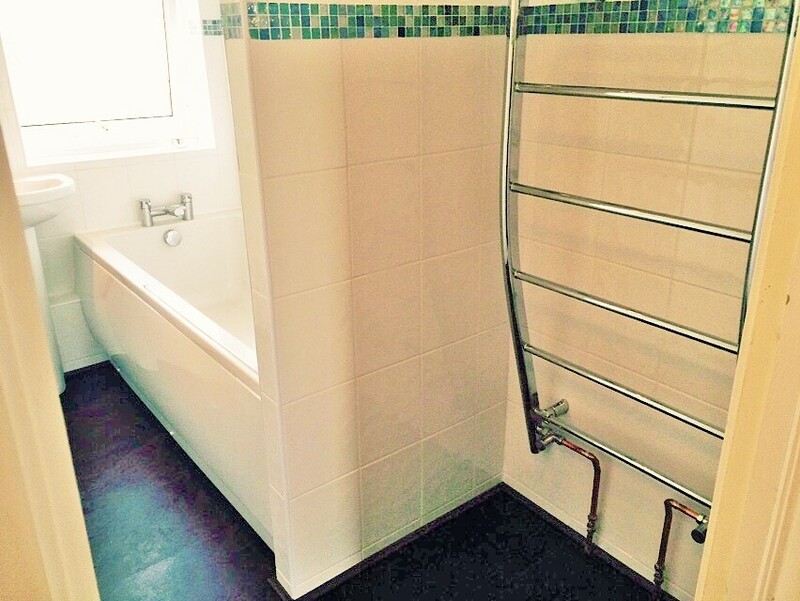 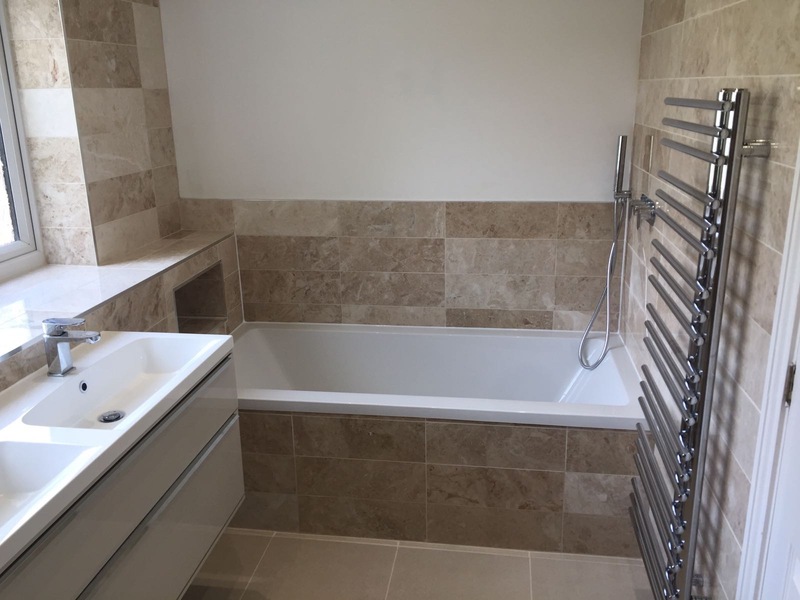 Including Wall & Floor Tiling, Electrics & Plumbing and Fitting of accessories including towel rail. 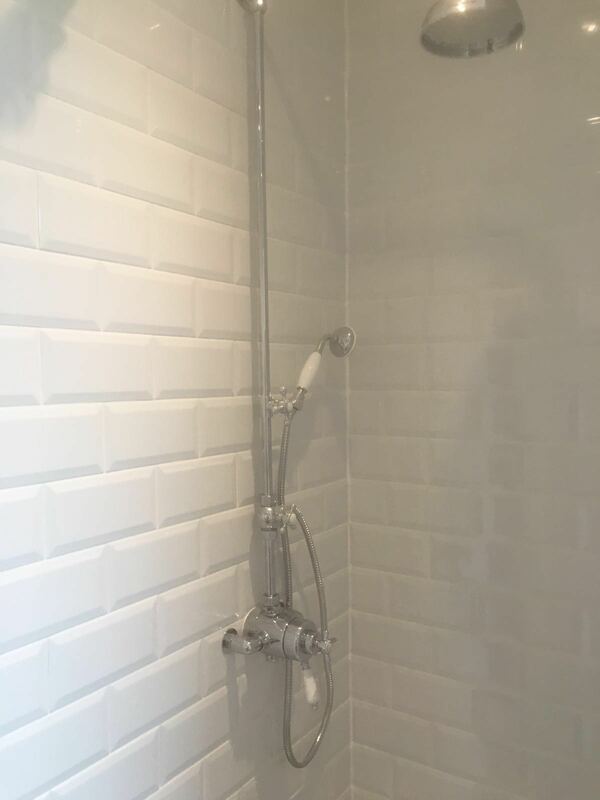 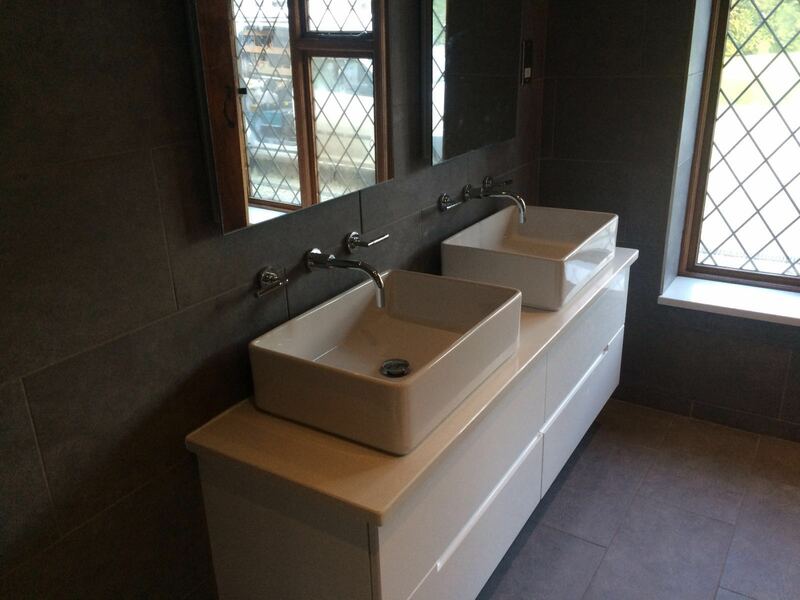 Including Wall & Floor Tiling , Plumbing, Electrics and the fitting of accessories. 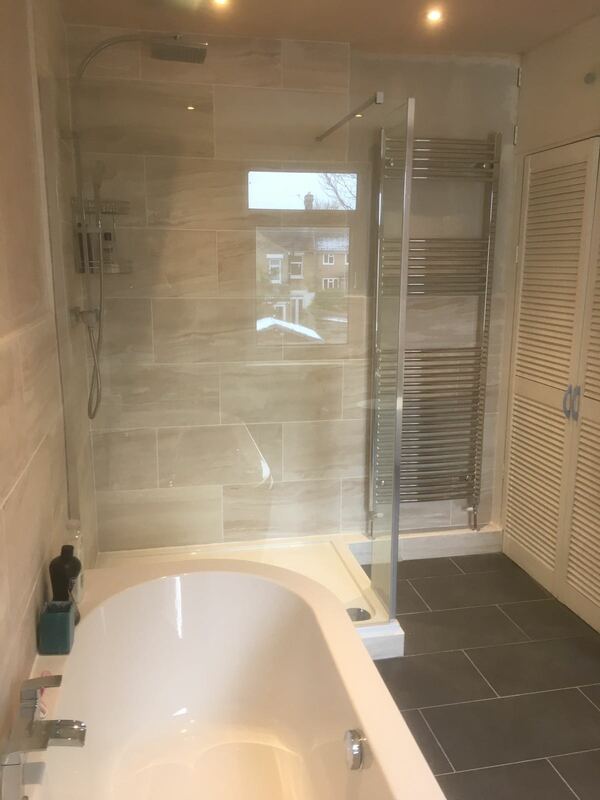 Full bathroom refit completed in Maidstone. 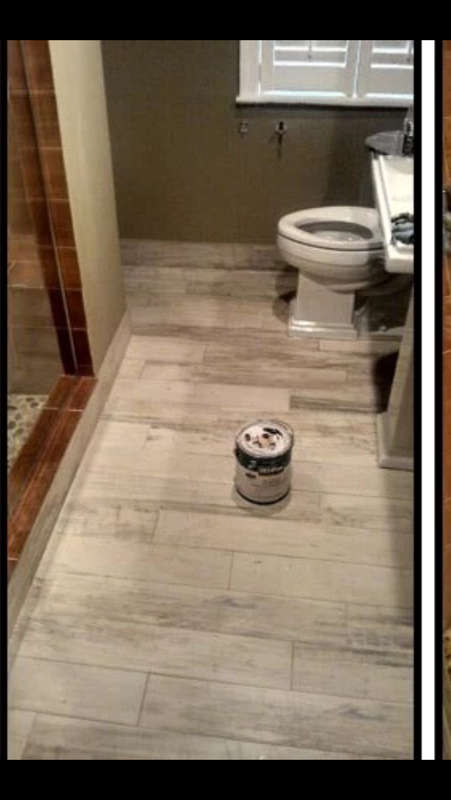 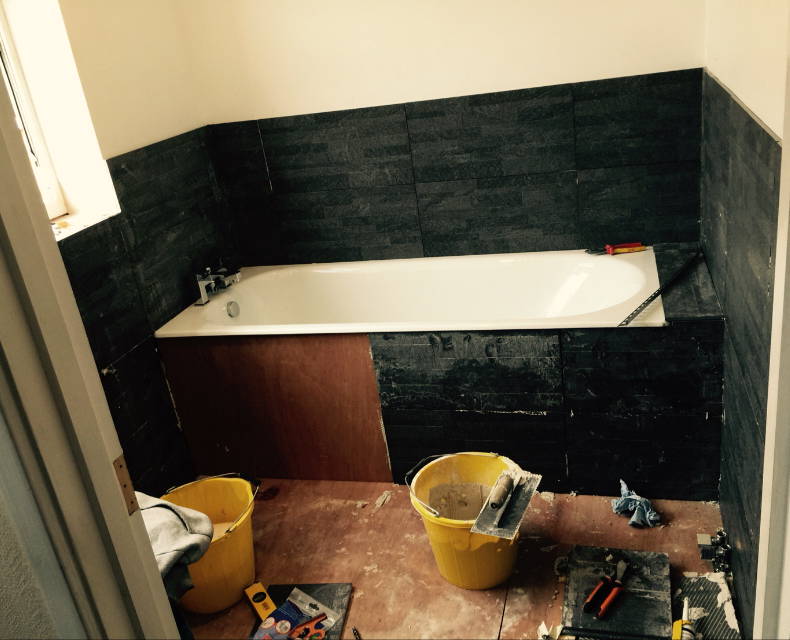 Including Wall and floor tiling, plumbing, and fitting of radiator and accessories. 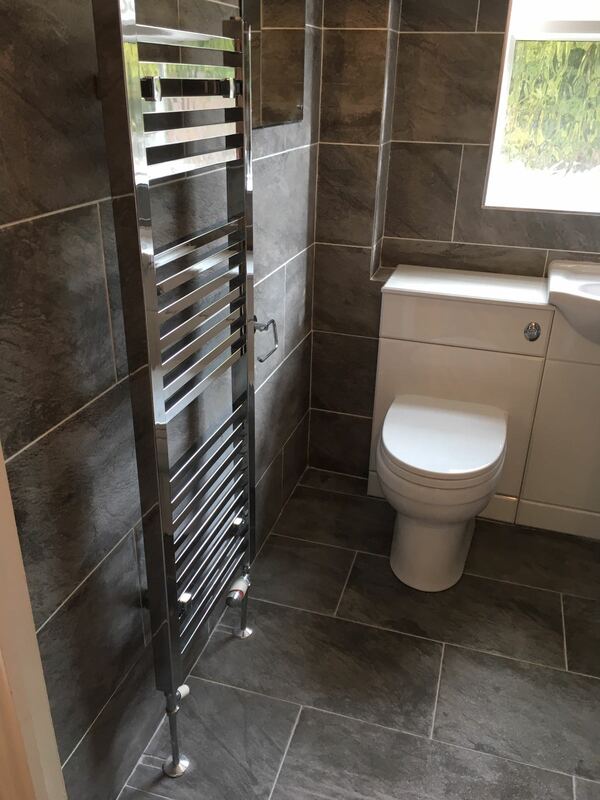 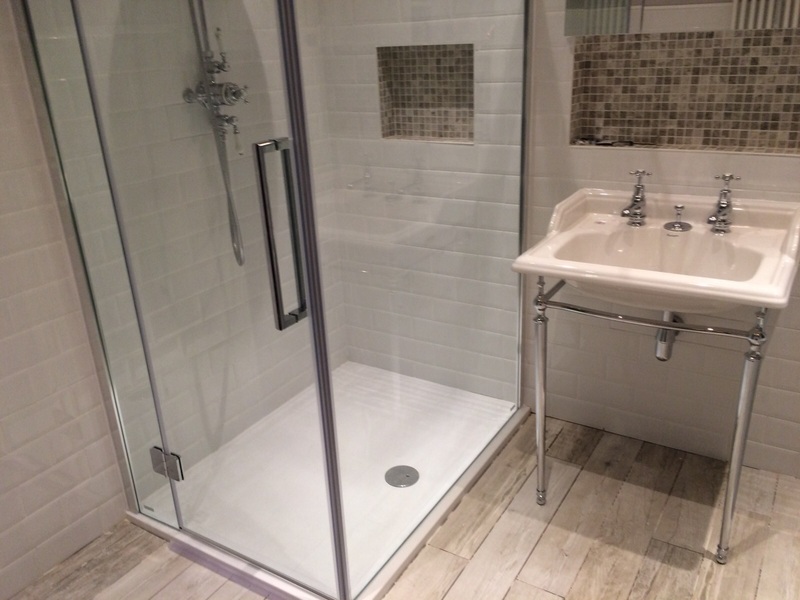 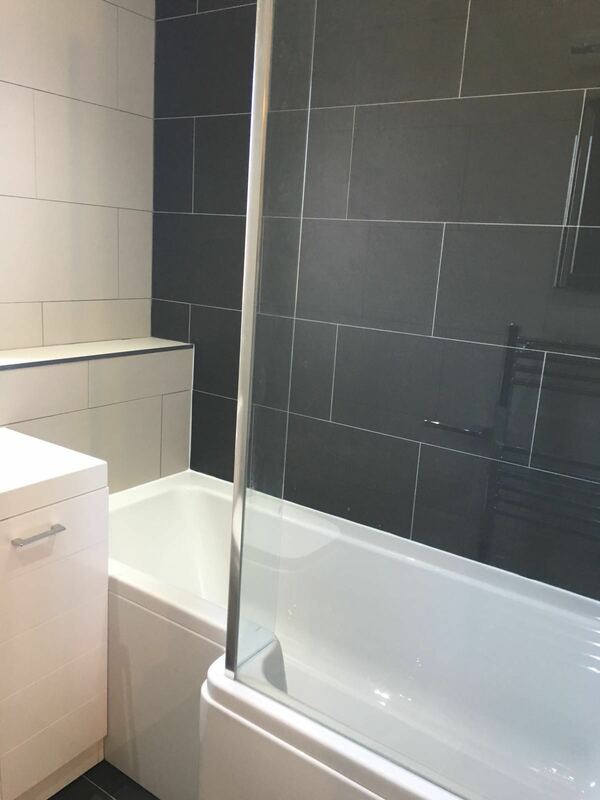 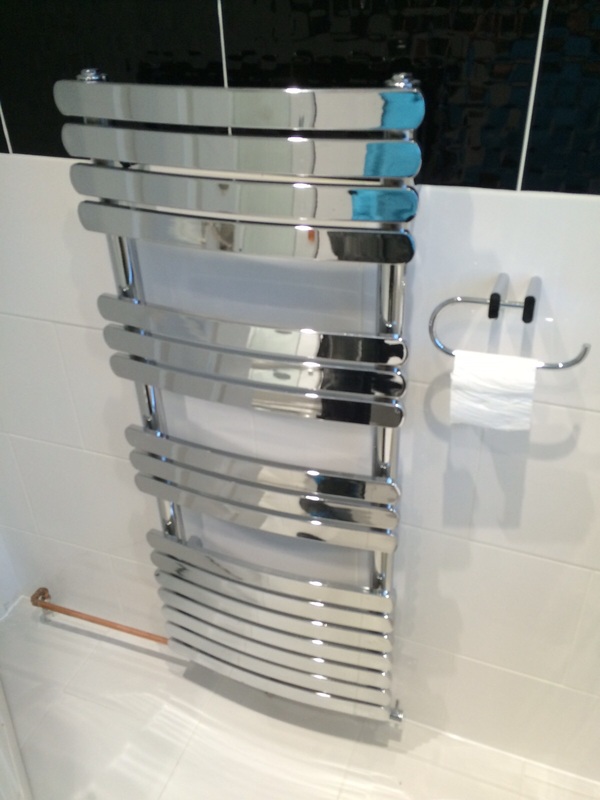 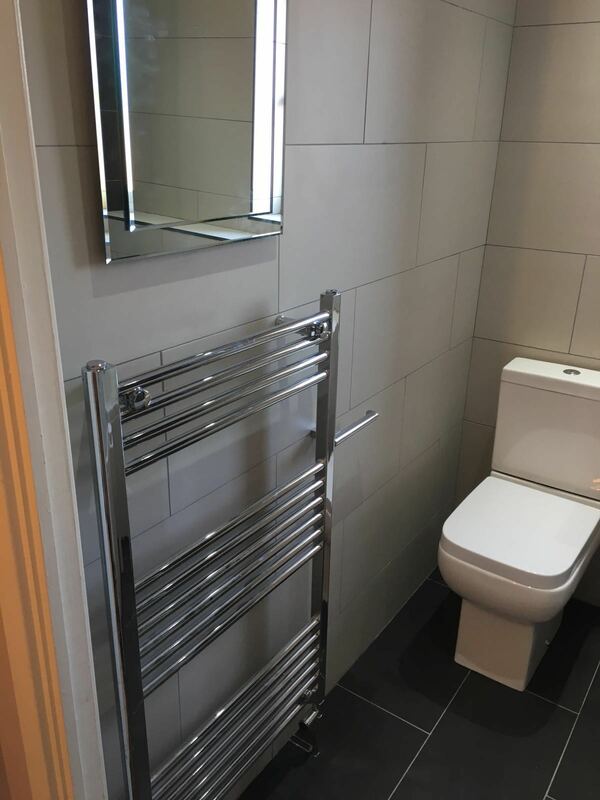 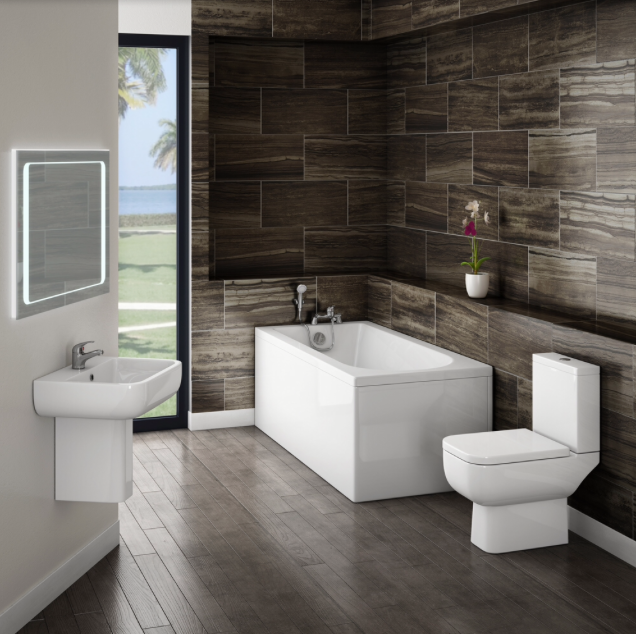 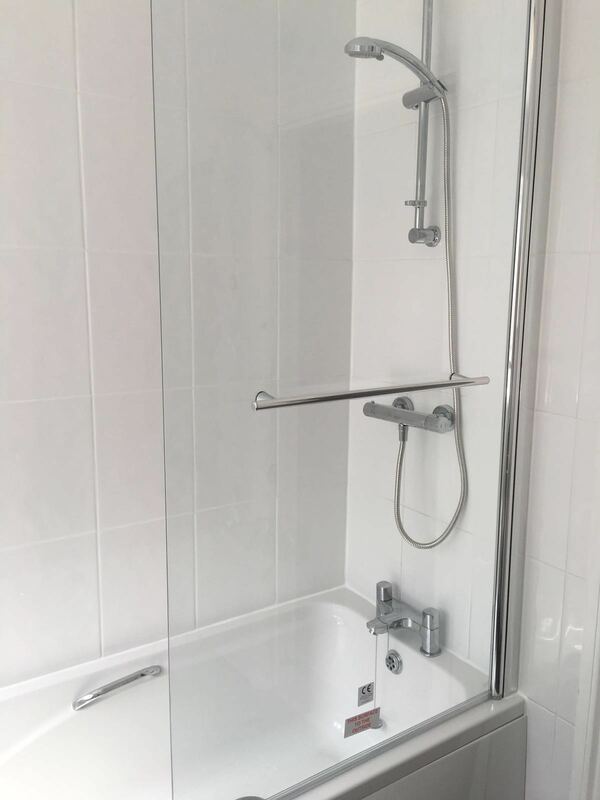 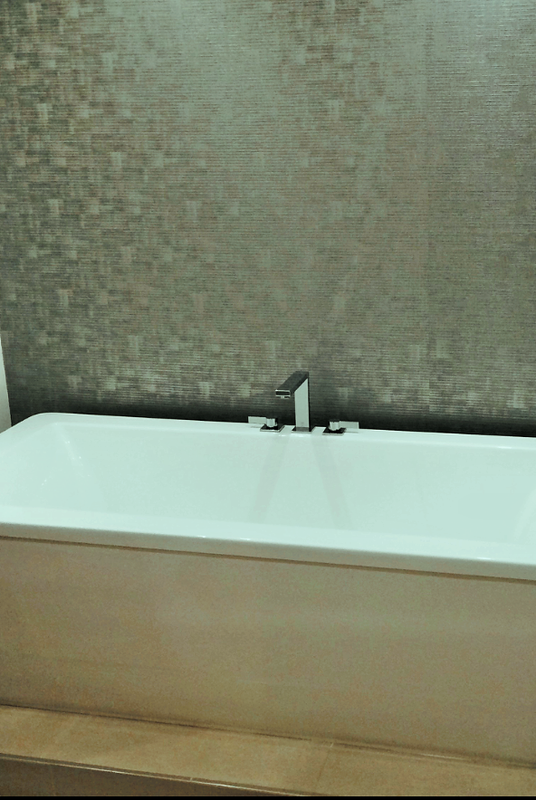 Including Wall and Floor Tiling, Plumbing, fit mirror, accessories and adjustable rails. 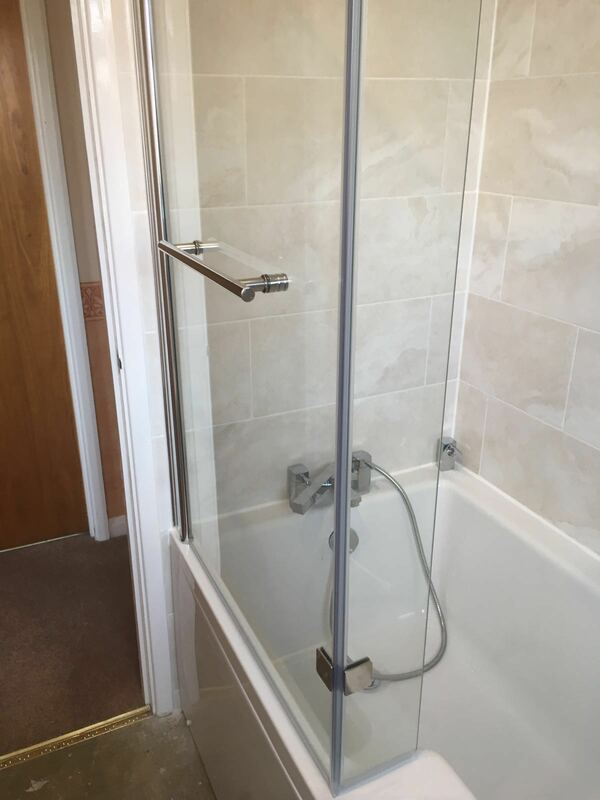 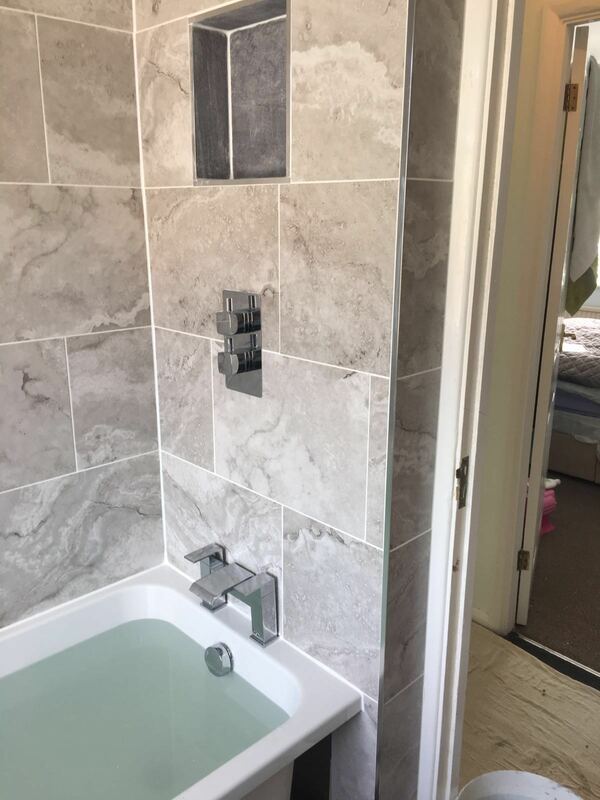 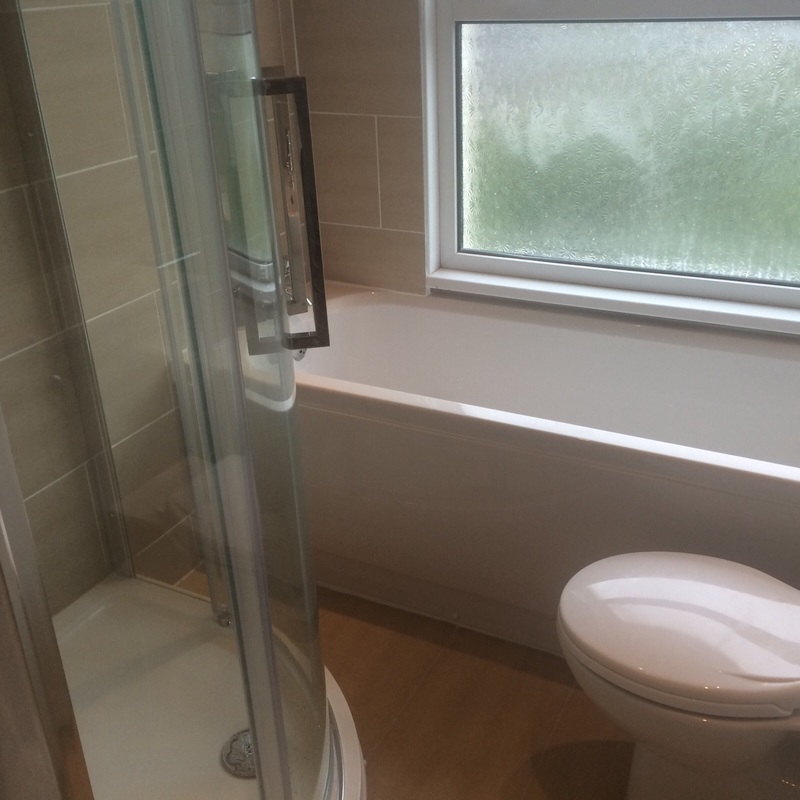 Full bathroom supply and re-fit, completed in Gillingham. 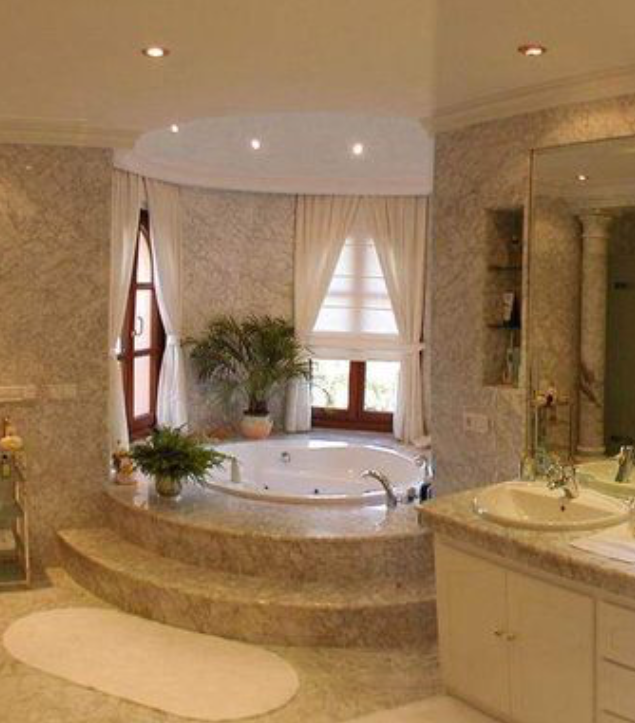 Including; plumbing, electric, marble wall and floor tiling. 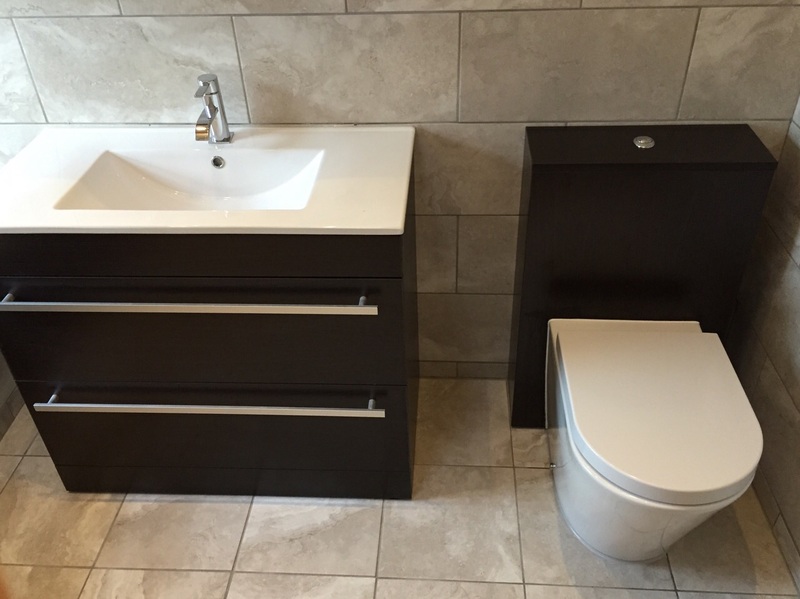 Bathroom supply and re fit completed in Greenwich. 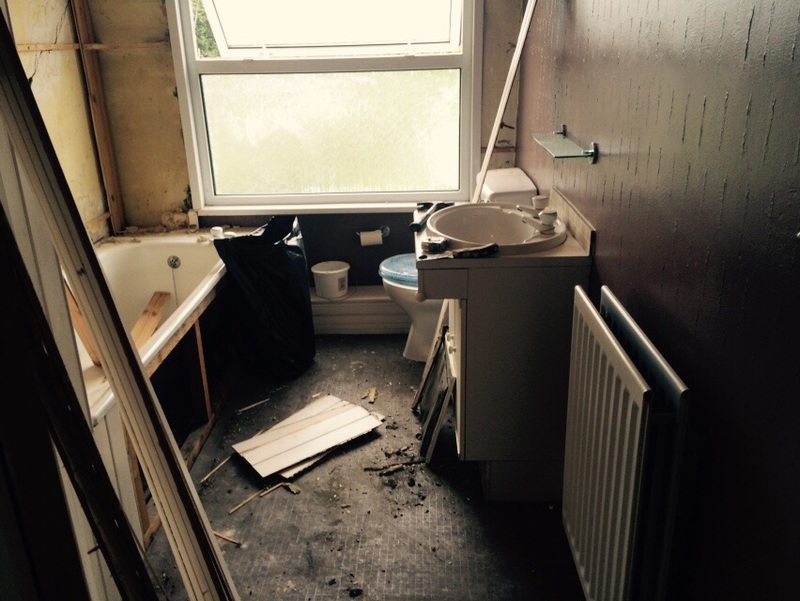 Including; new plumbing, new sub floor, electrics and floor and wall tiling. 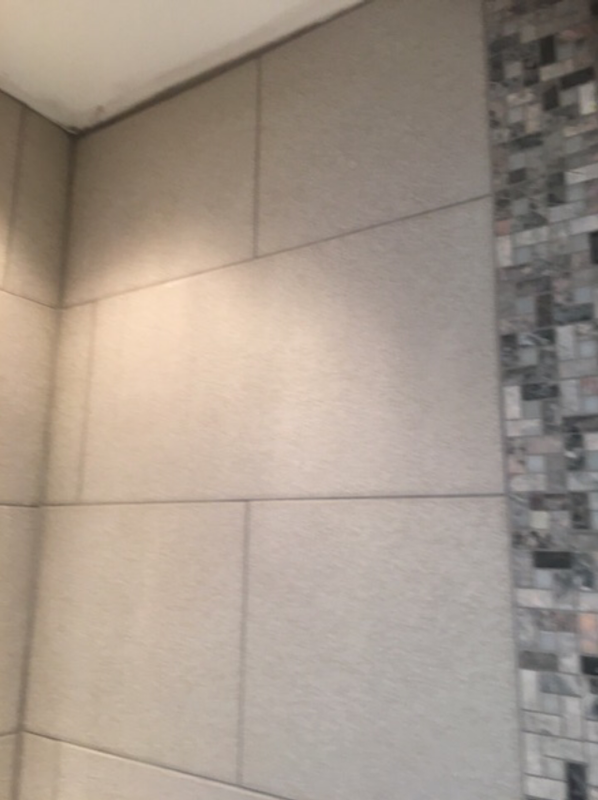 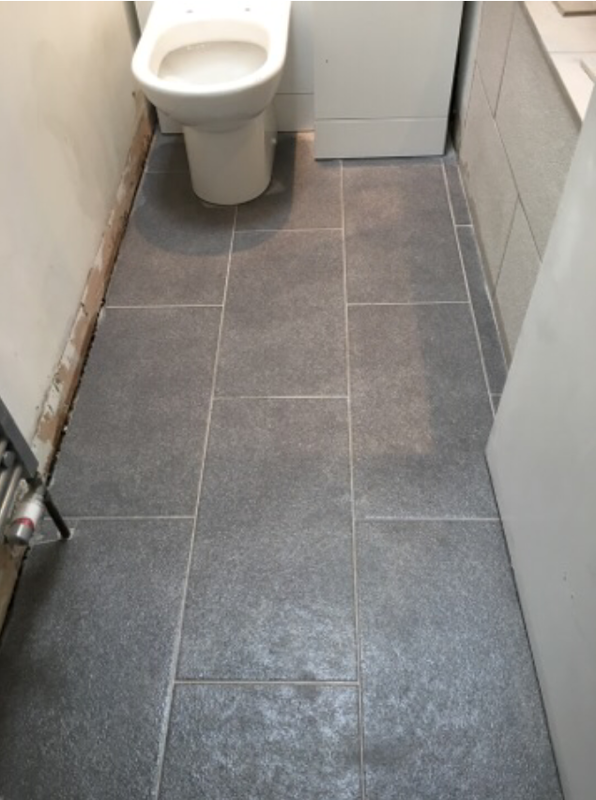 Wall tiling supplied and fitted in a bathroom in Greenwich. 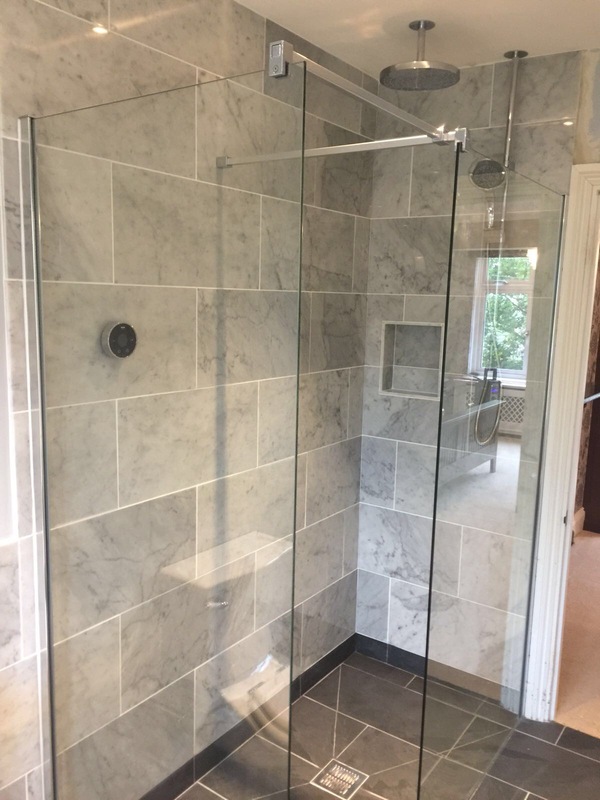 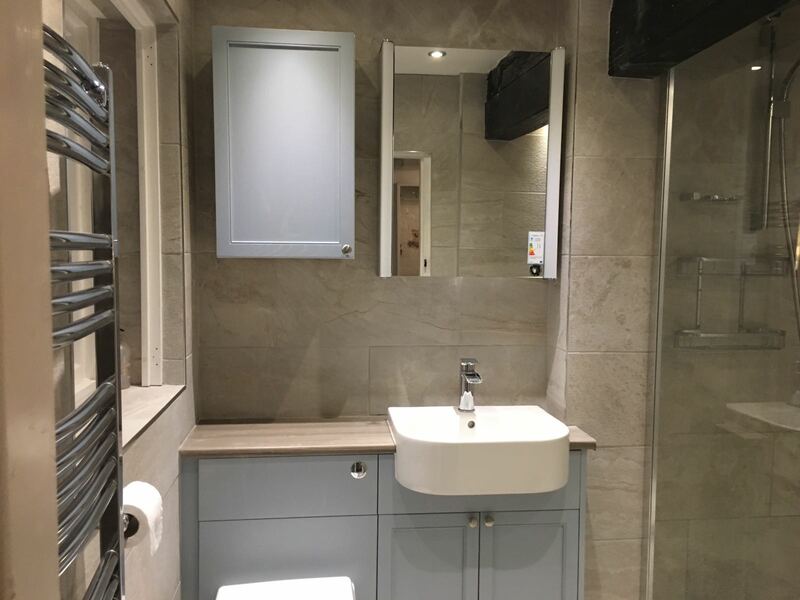 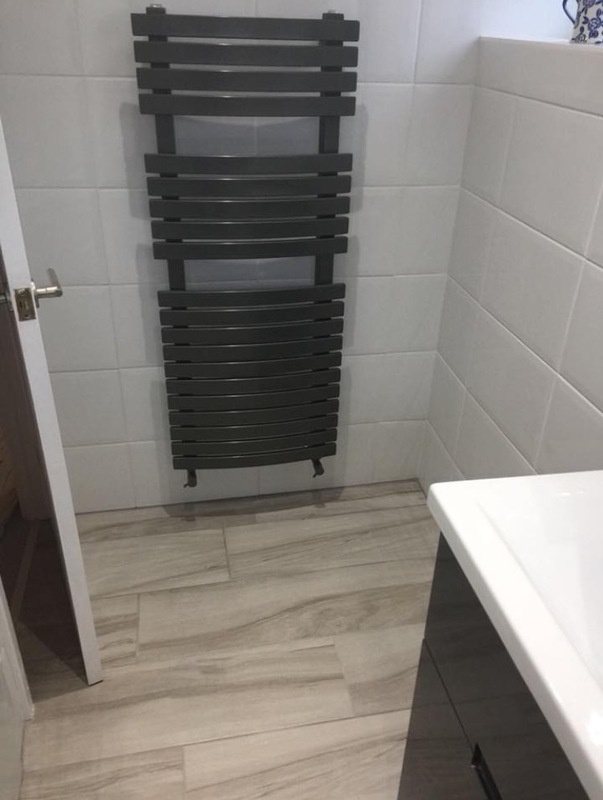 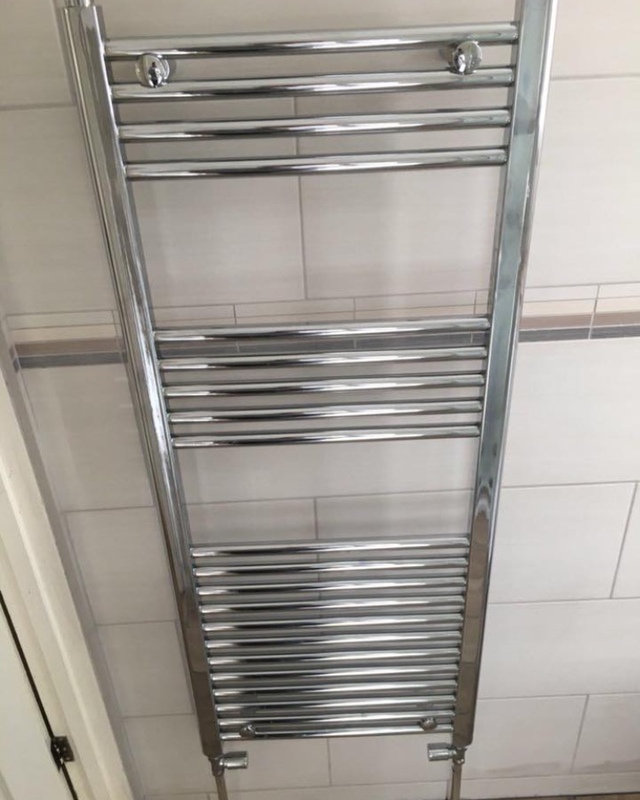 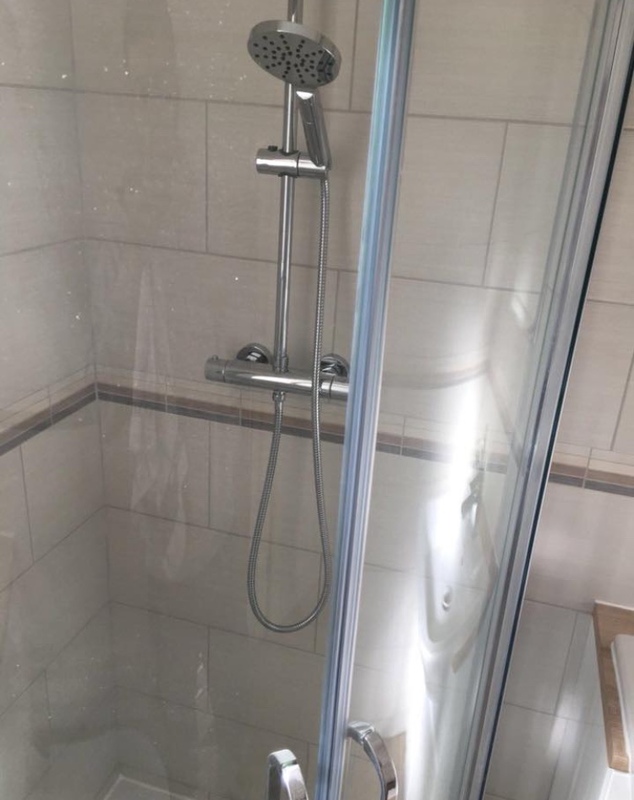 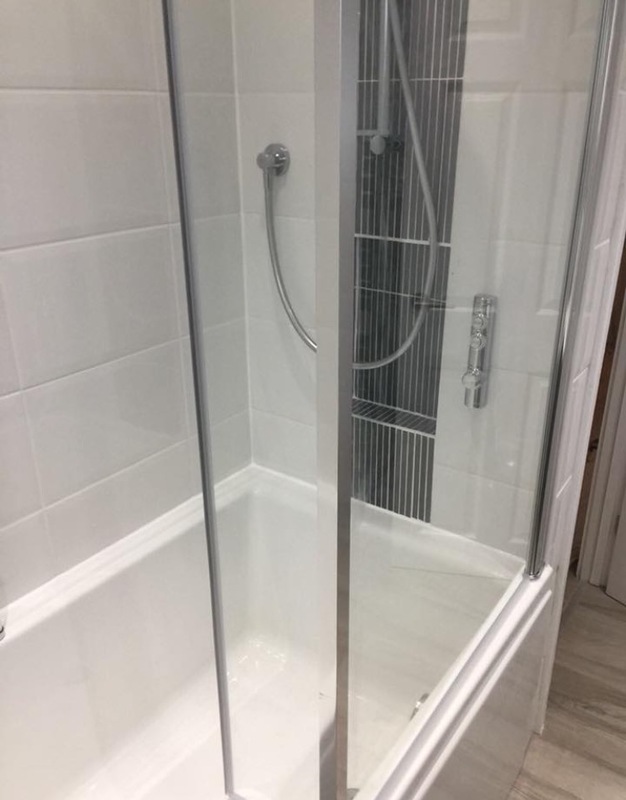 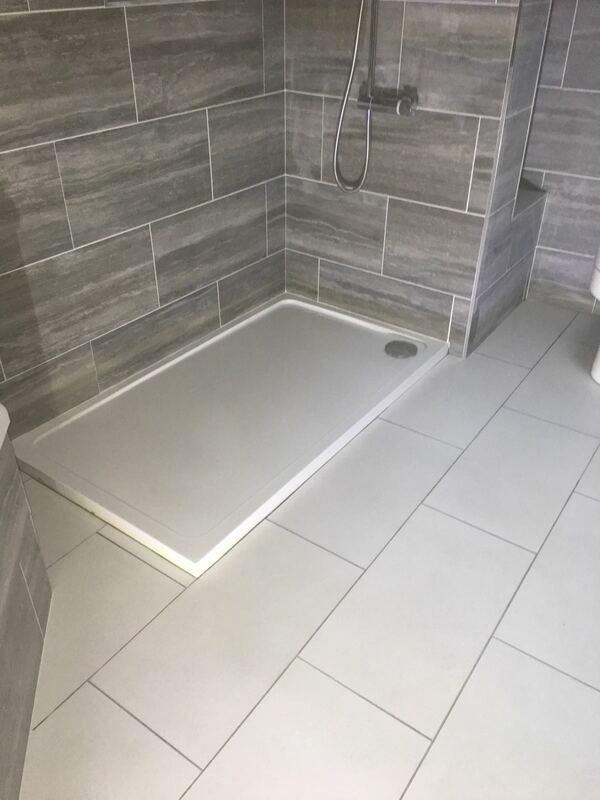 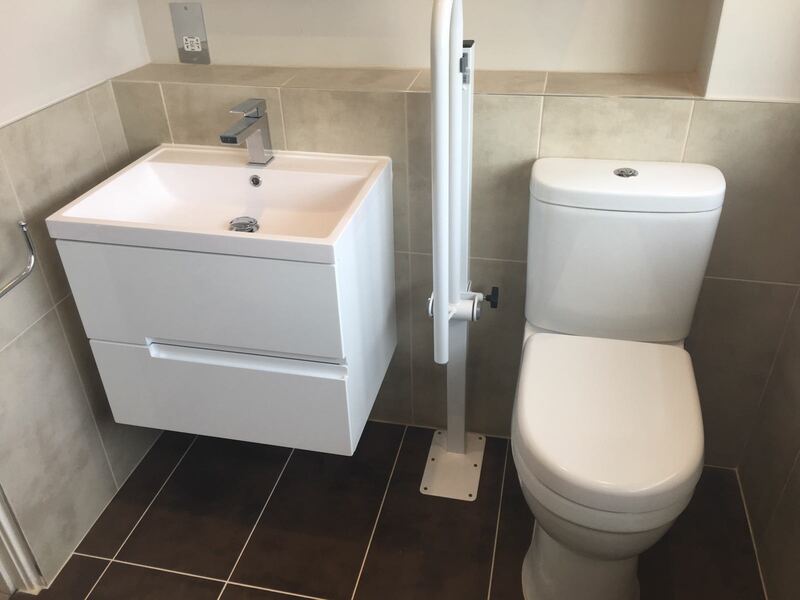 Bathroom supply and re fit, located in Kent. 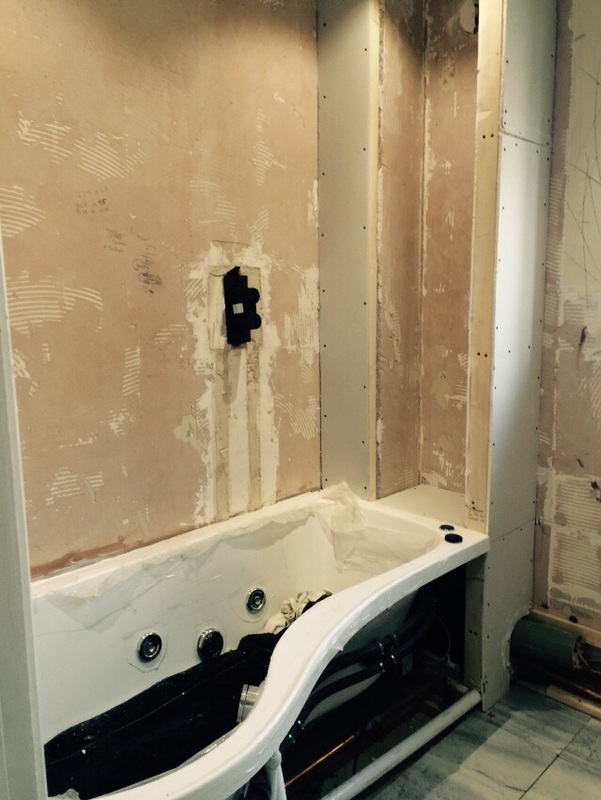 Including; plumbing, tiling and electrics. 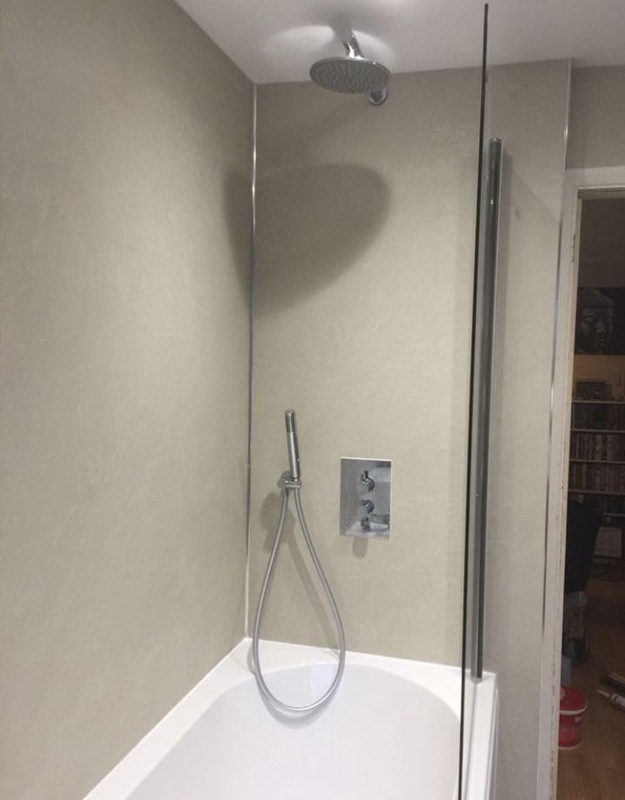 Bathroom supply and re fit completed in London. 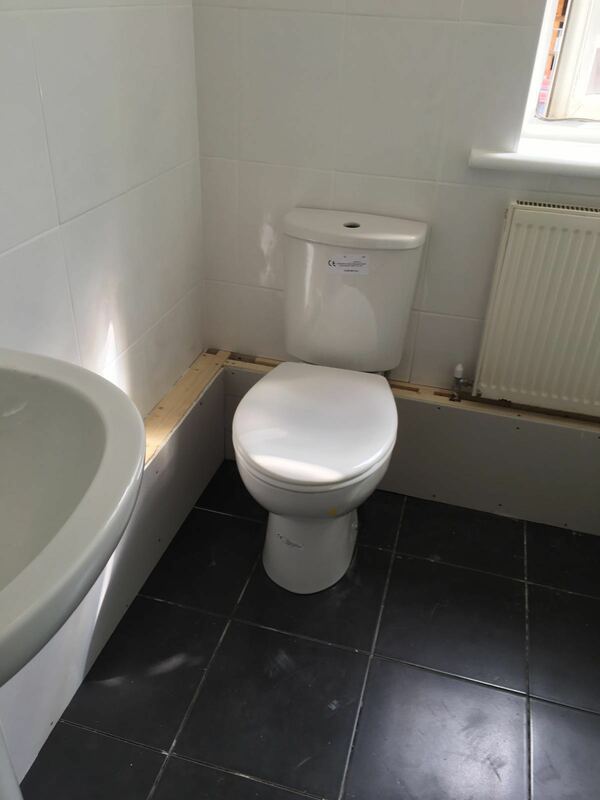 Including; new plumbing, tiling, electrics and painting. 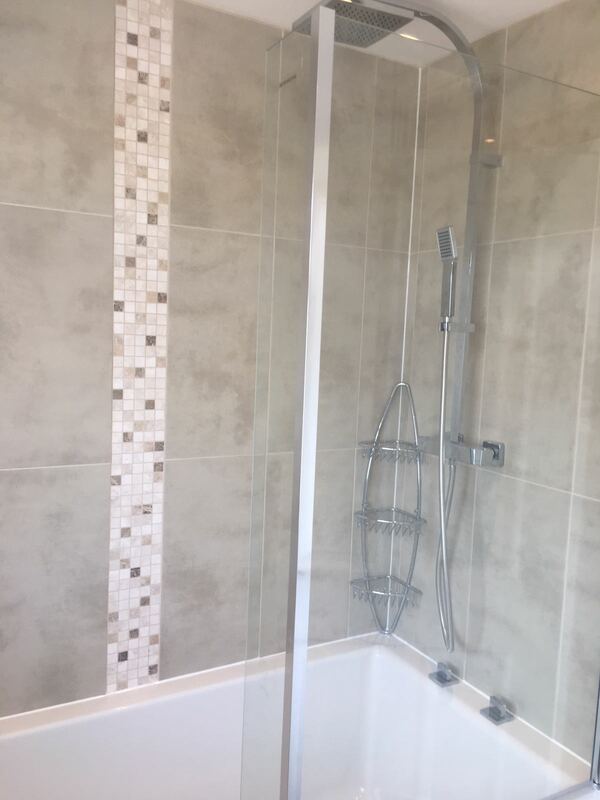 Full bathroom supply and re fit completed in Sittingbourne. 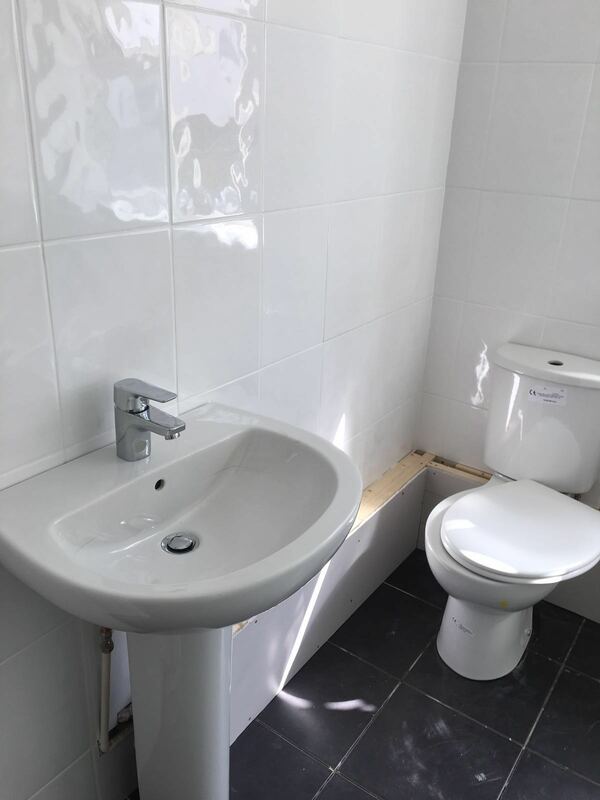 Including; new plumbing, electrics and wall tiling. 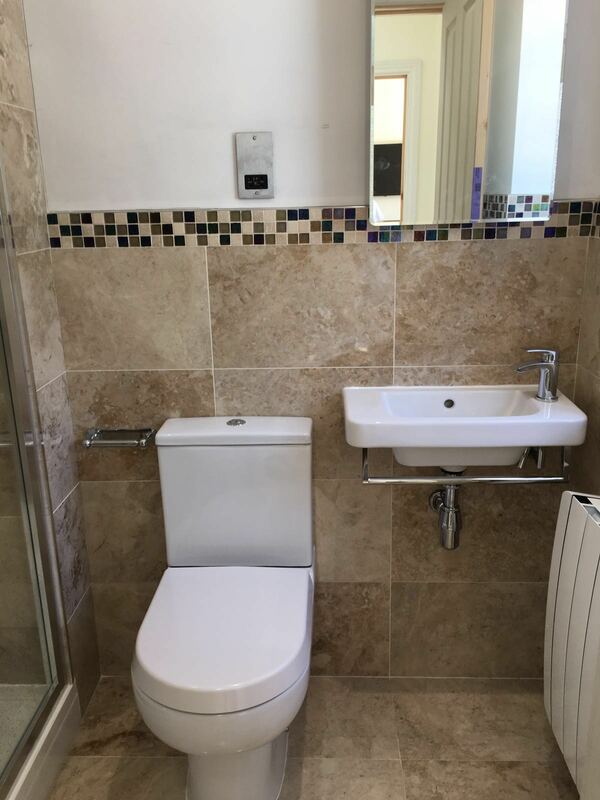 Full bathroom supply and re fit completed in Brighton. 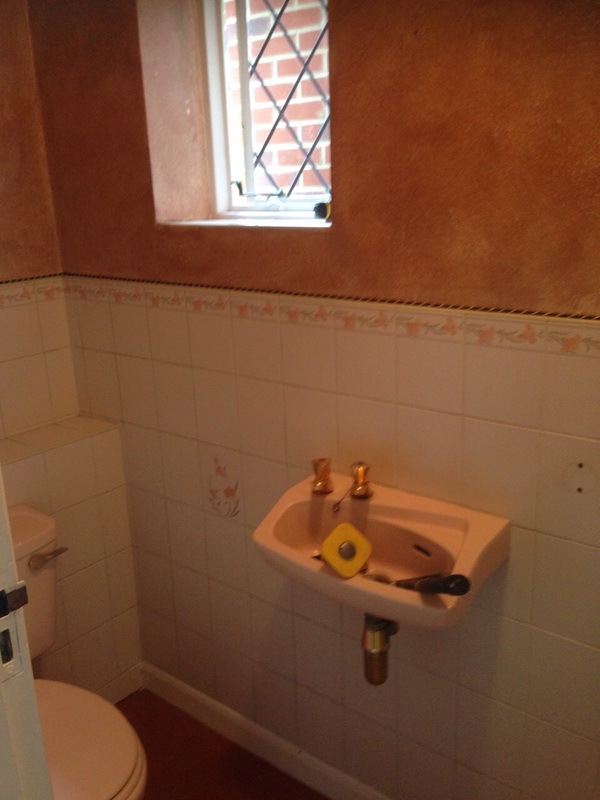 Including; plastering and floor and wall tiling. 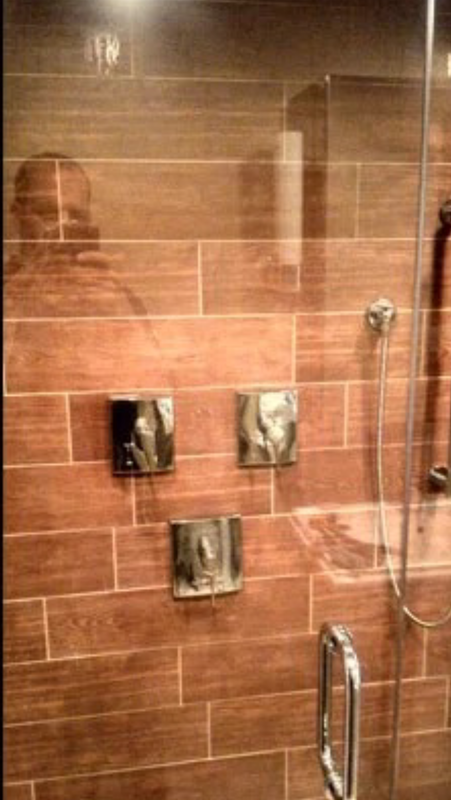 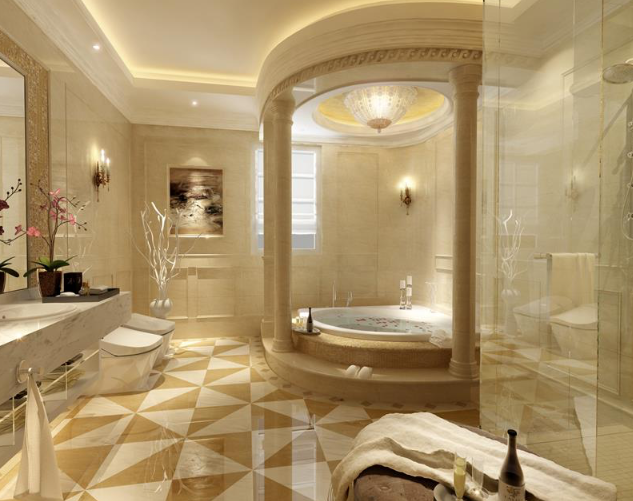 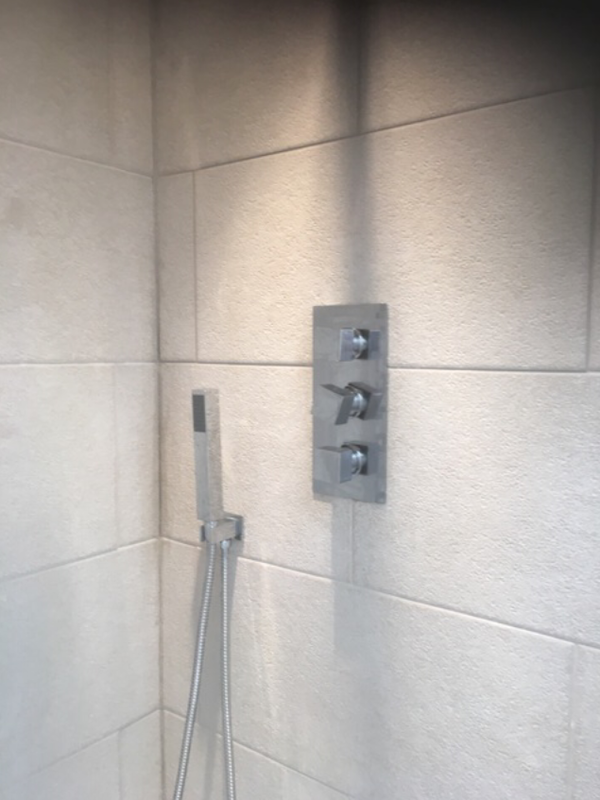 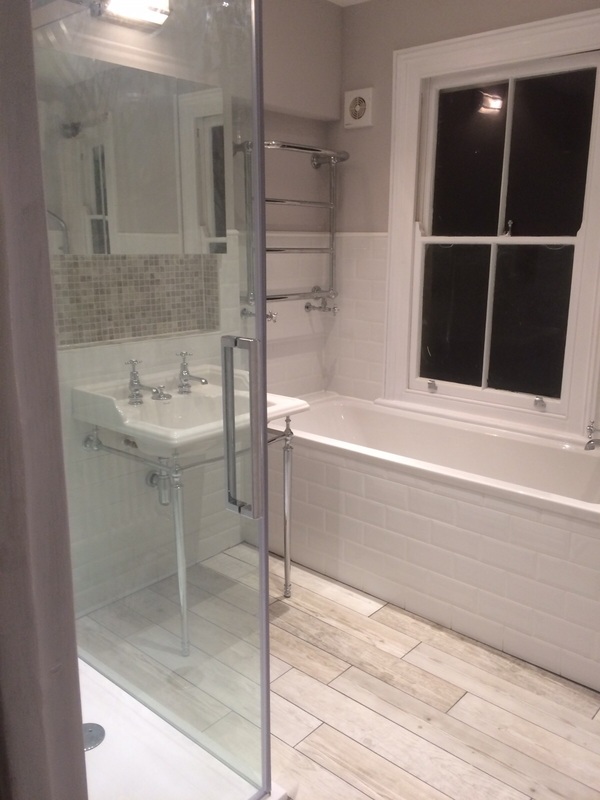 Luxury bathroom supply and re fit completed in Kensington, London. 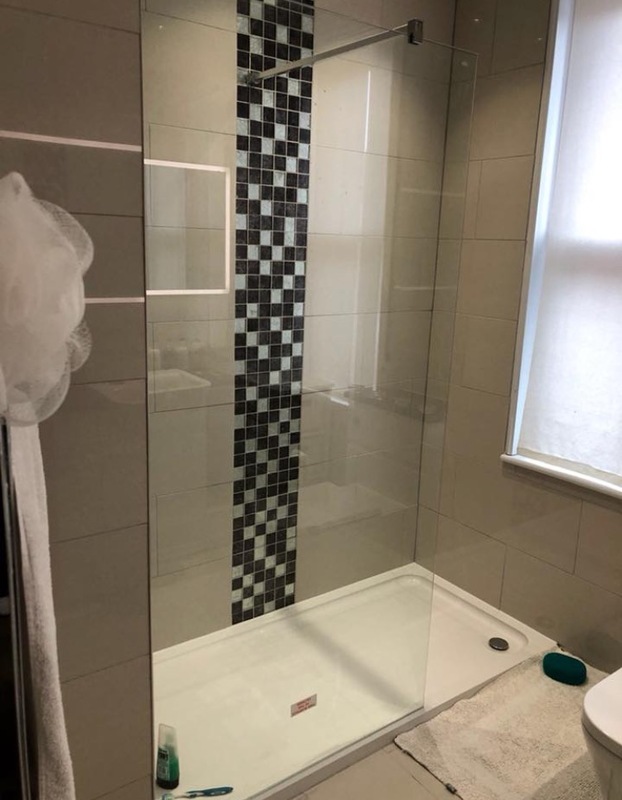 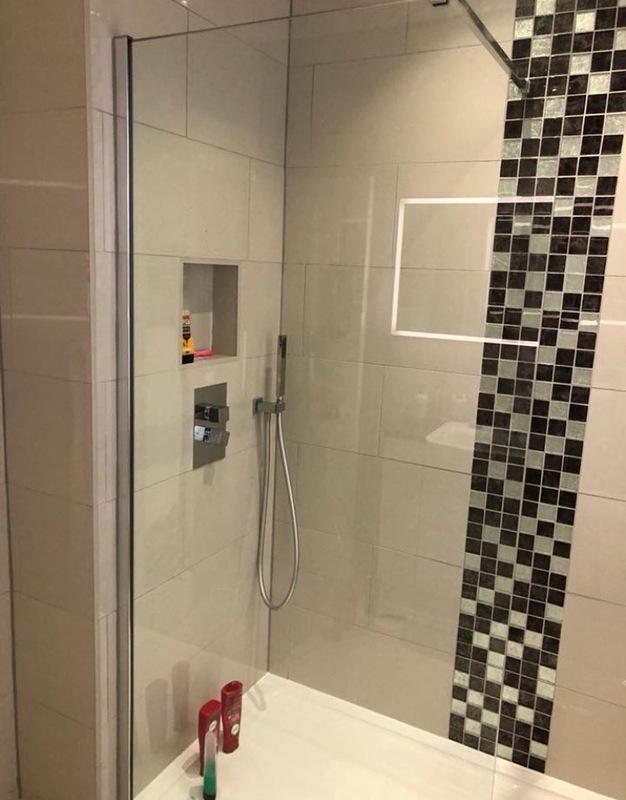 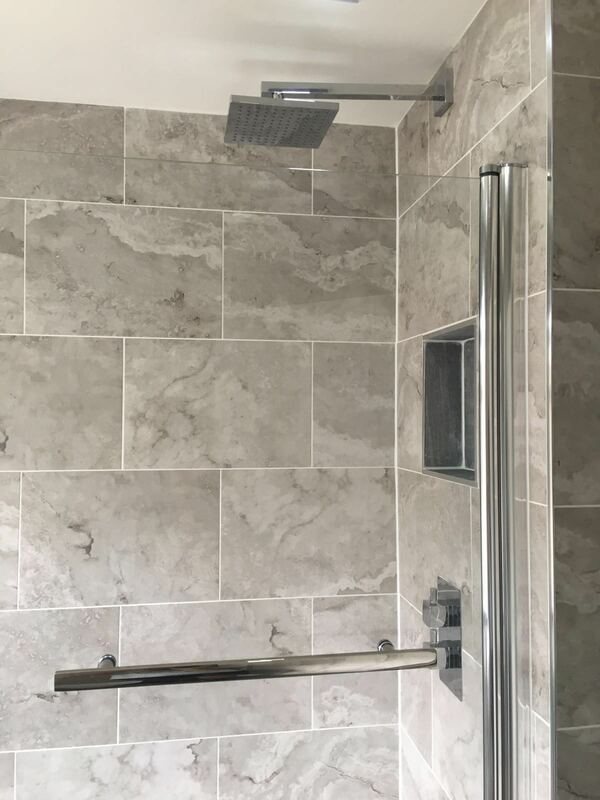 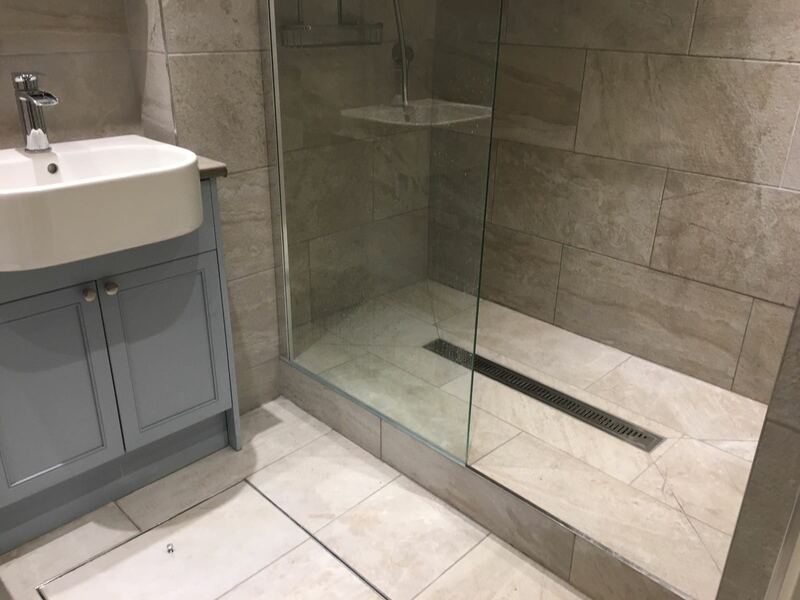 Including; sunken spa bath with granite steps, his and hers sinks with granite counter tops, new ceiling with spots, underfloor heating and wall and floor tiling. 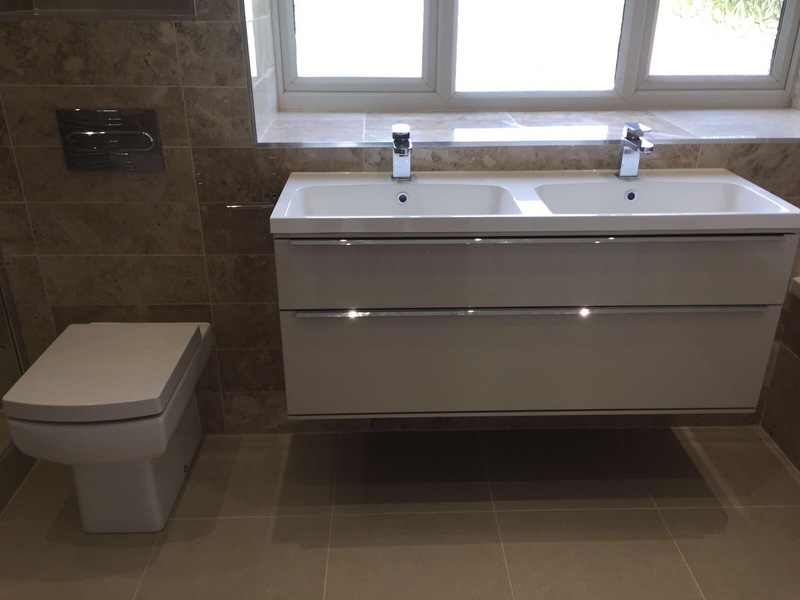 Full bathroom supply and re fit completed in Paddock Wood. 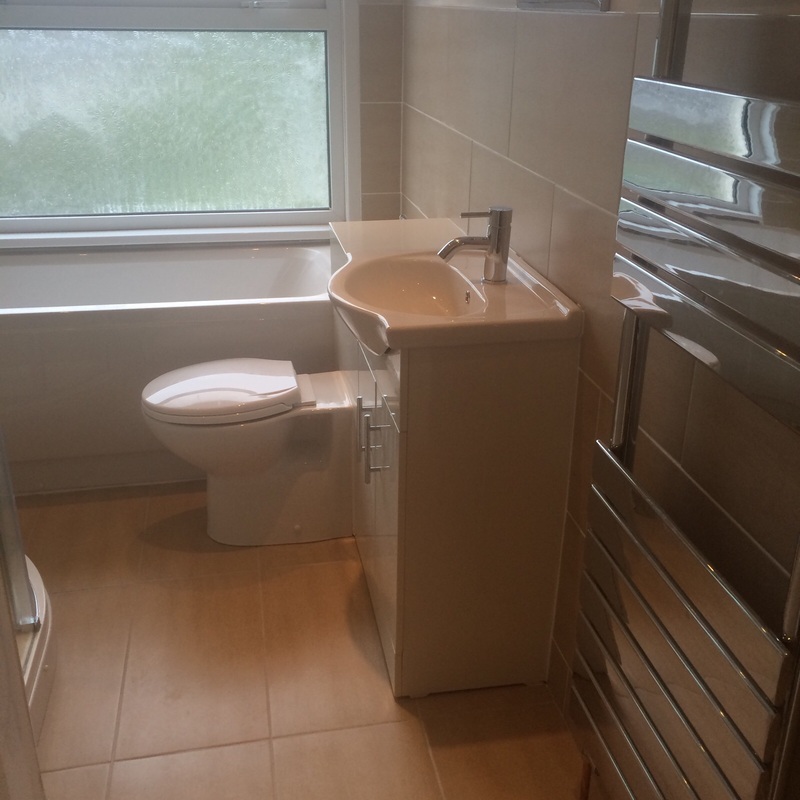 Including; plumbing, electrics, wall tiling and painting. 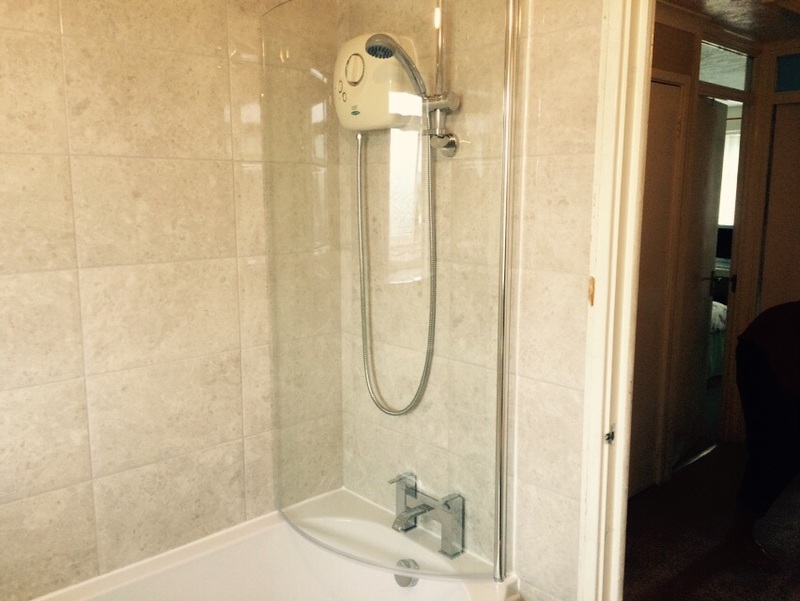 Full Ensuit Refurb completed in Welling. 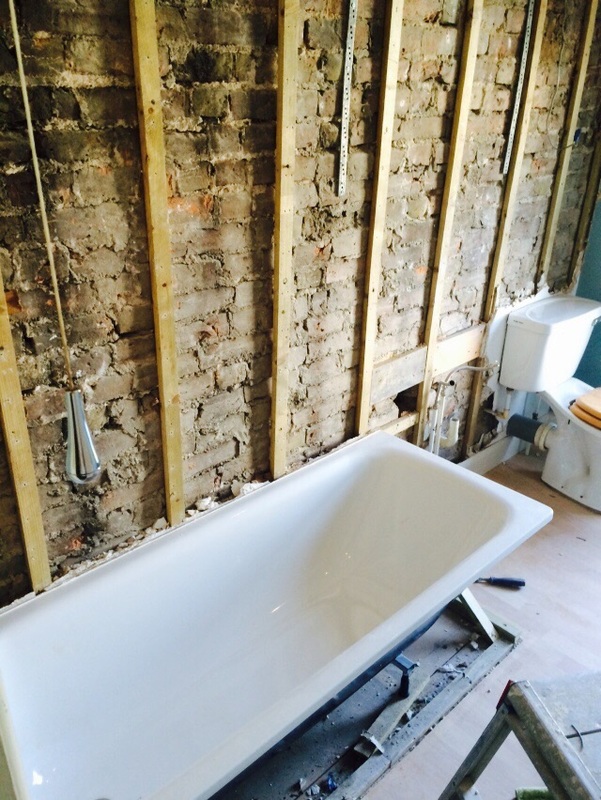 Including; plumbing, electrics, boxing the bath in and floor and wall tiling. 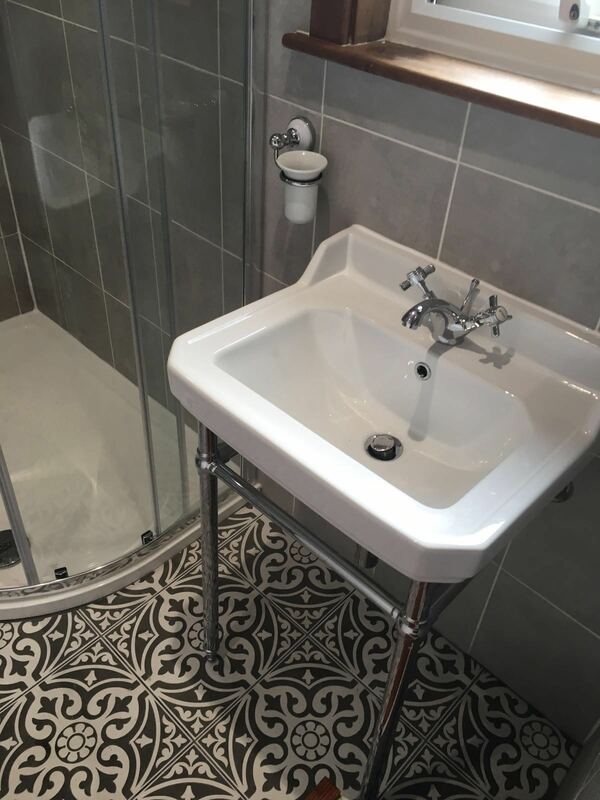 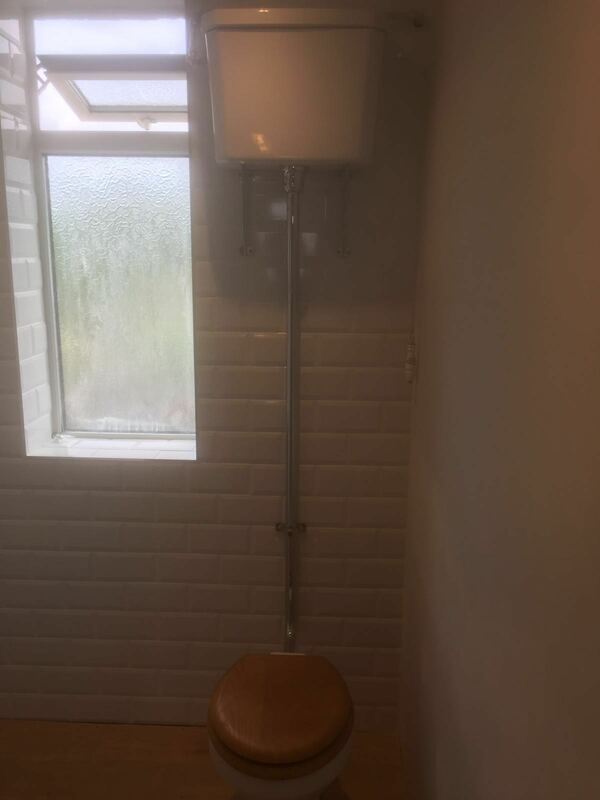 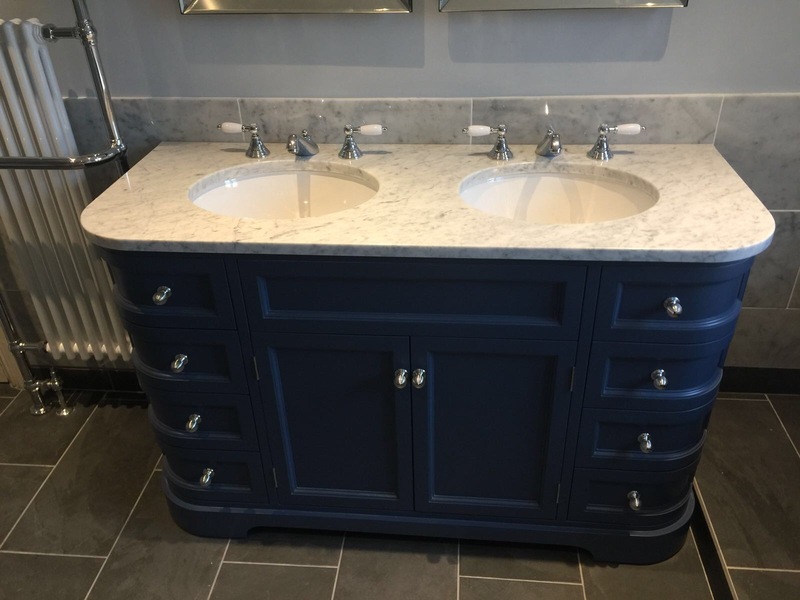 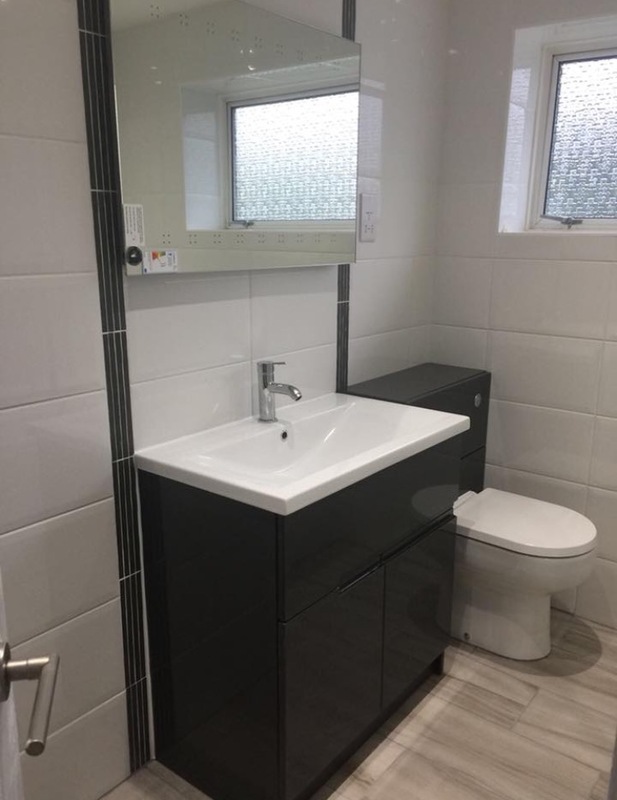 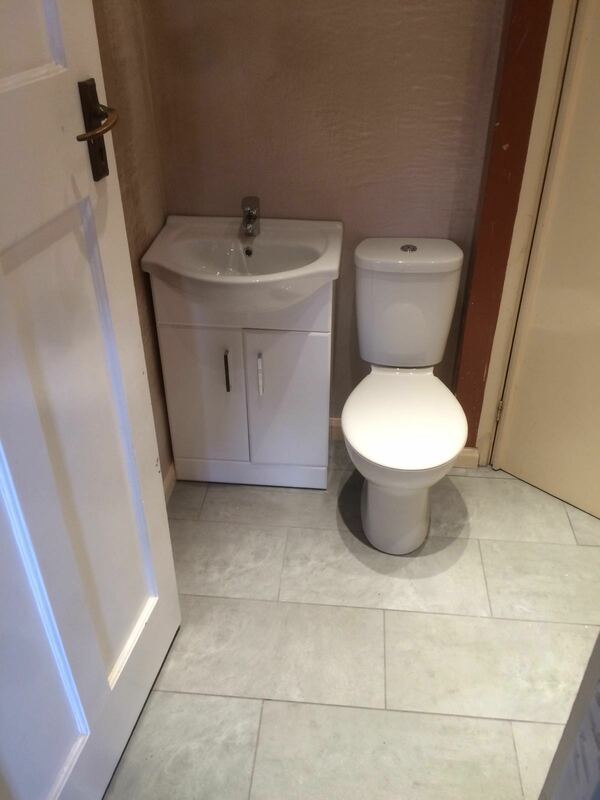 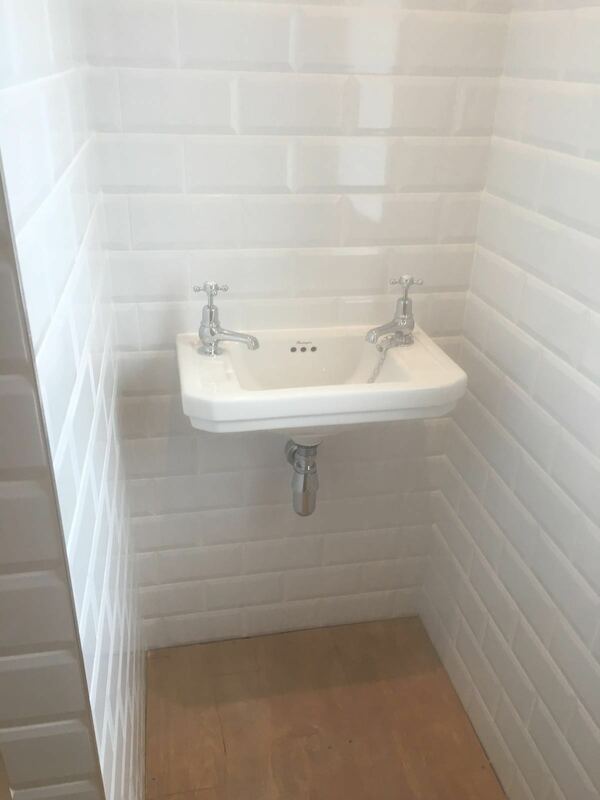 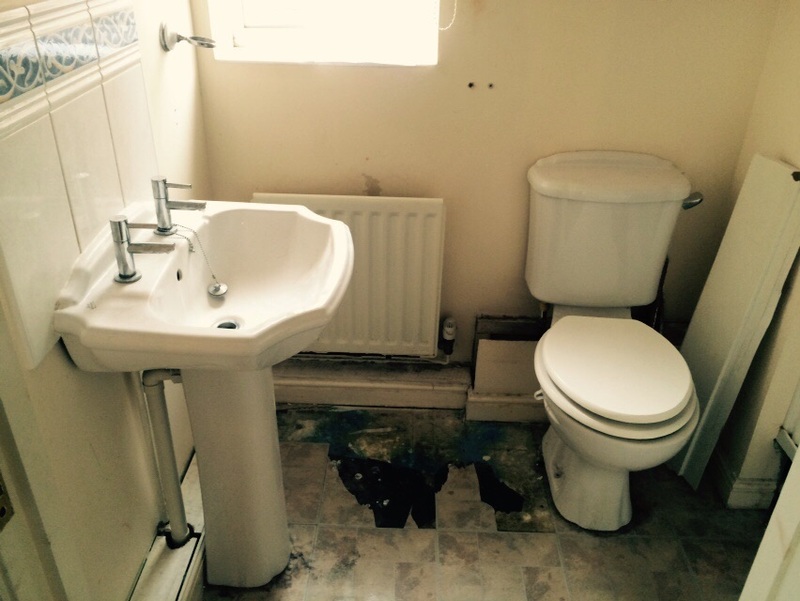 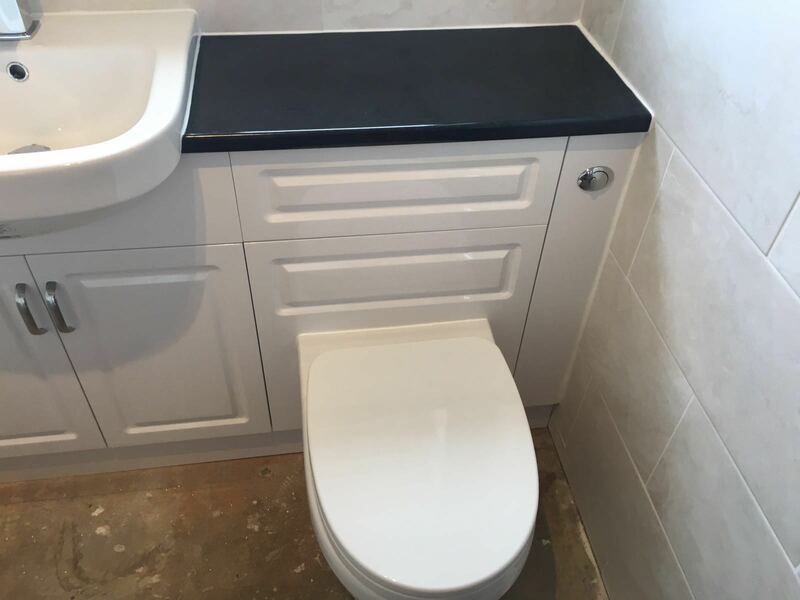 A converted cloakroom to take a new toilet and wash basin, completed in Gillingham. 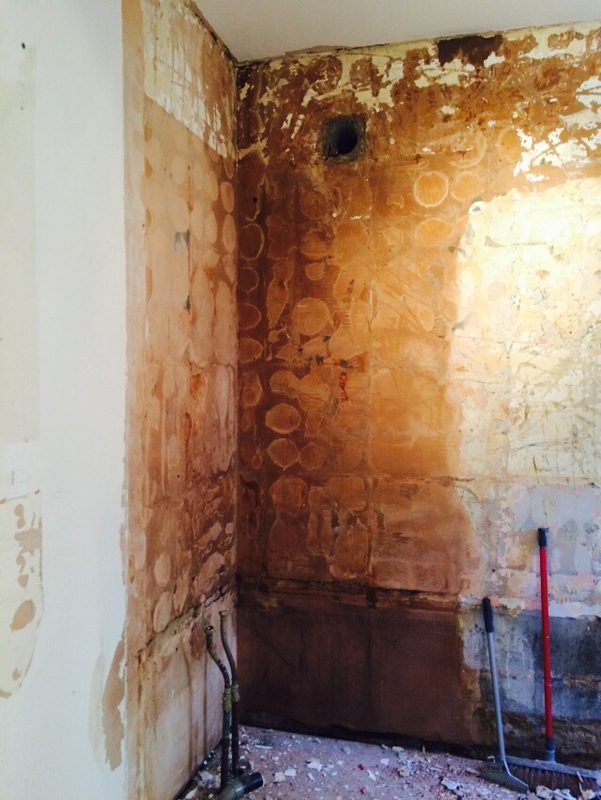 Including; tiled floor, new ceiling with spot lights and plastering. 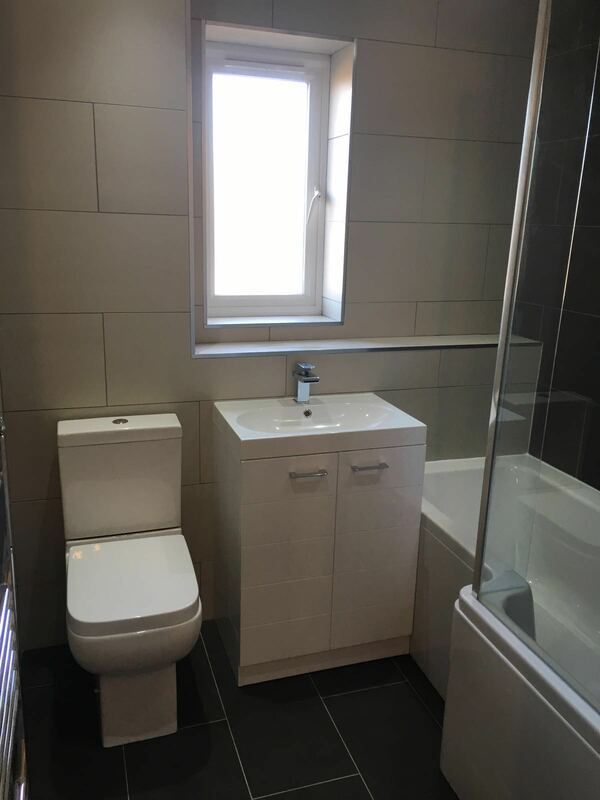 Bathroom Supply and Re-Fit completed in Gillingham. 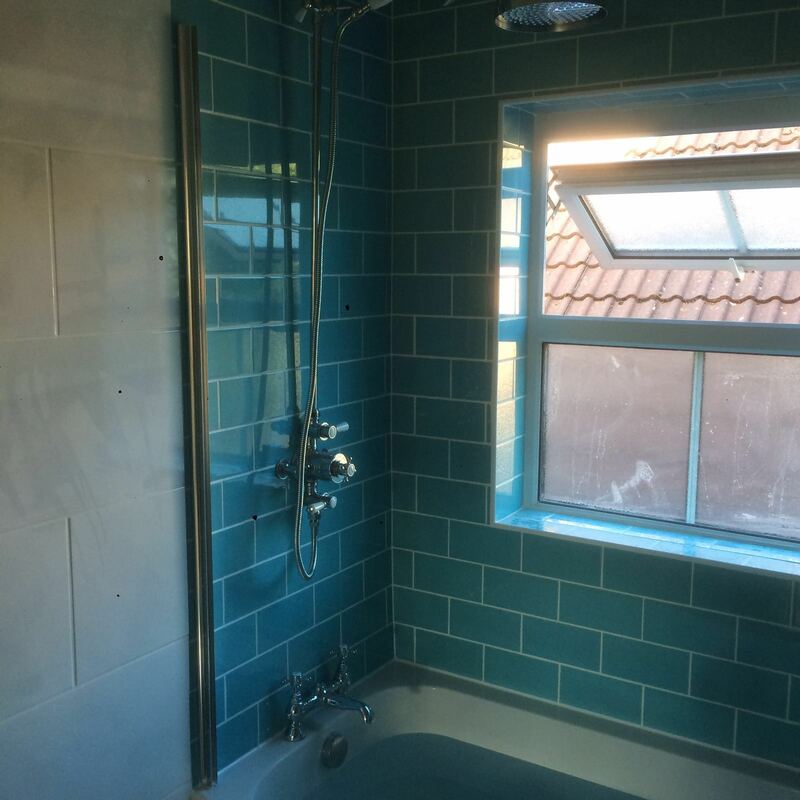 Including; new plumbing, plastering and full re-tile. 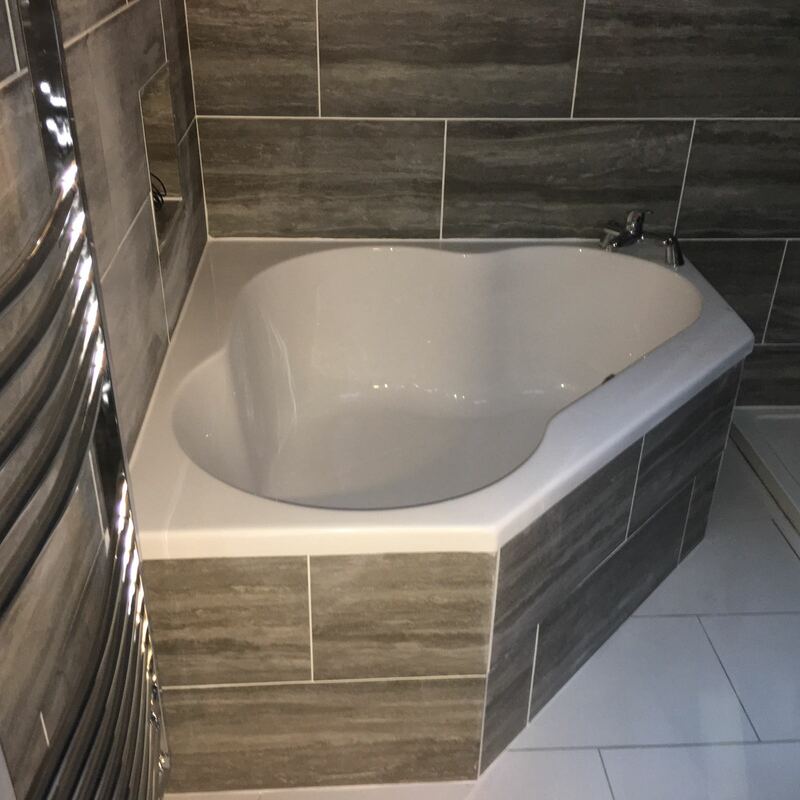 Full Bathroom Re-Fit completed in New Ash Green. 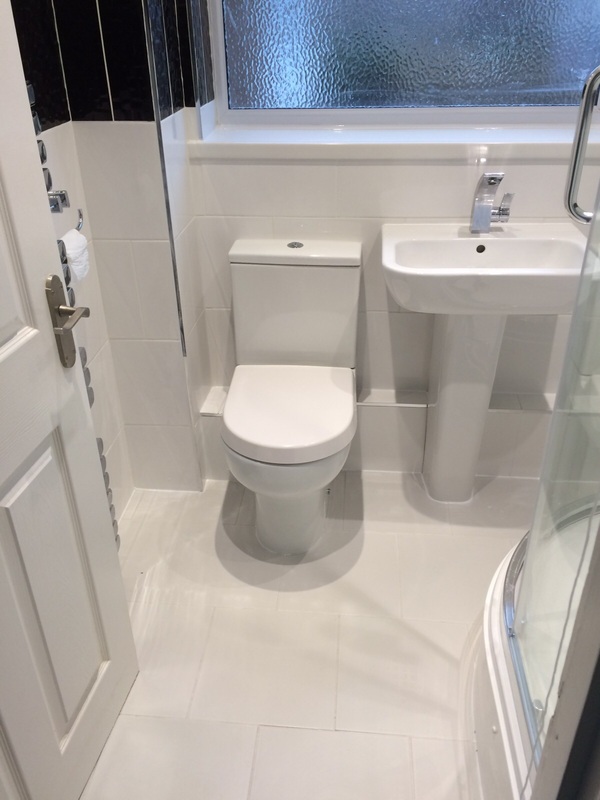 Full Bathroom Re-Fit completed in Gillingham. 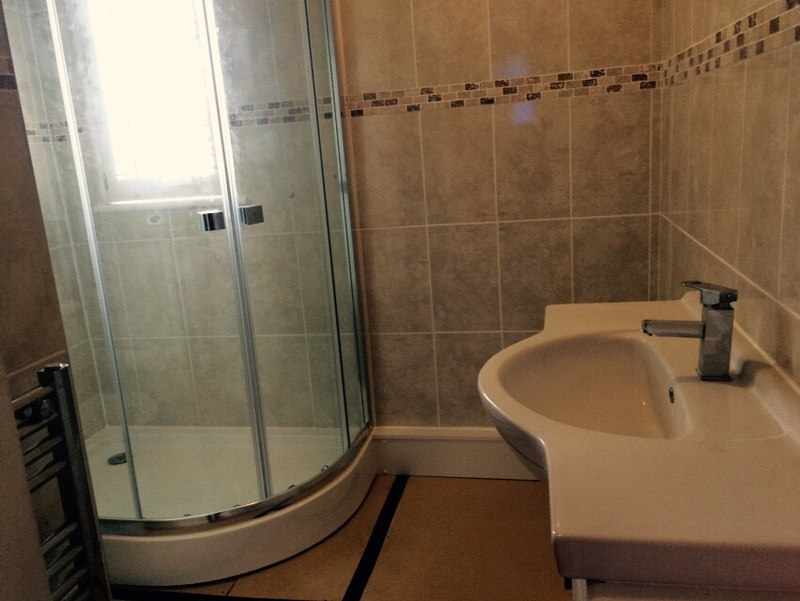 Including; new plumbing, electrics, wall and floor tiling and painting. 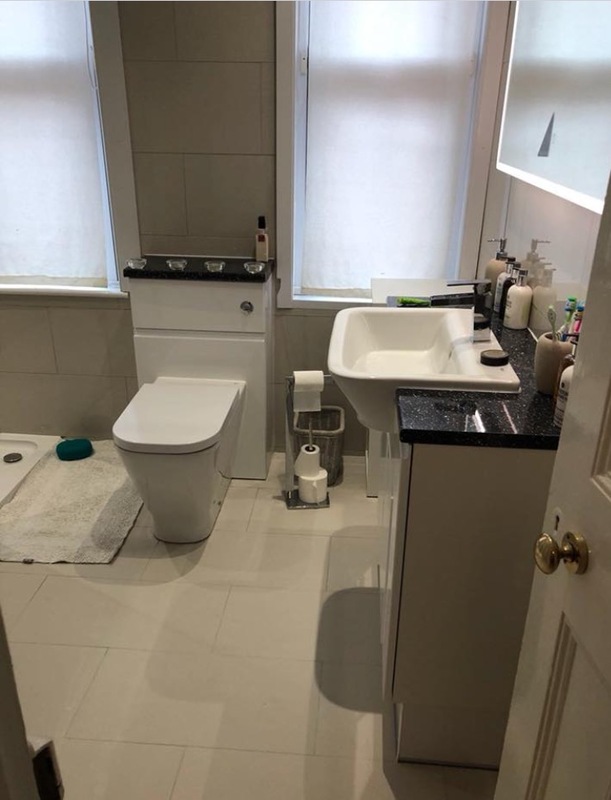 Full bathroom re-fit completed in Strood. 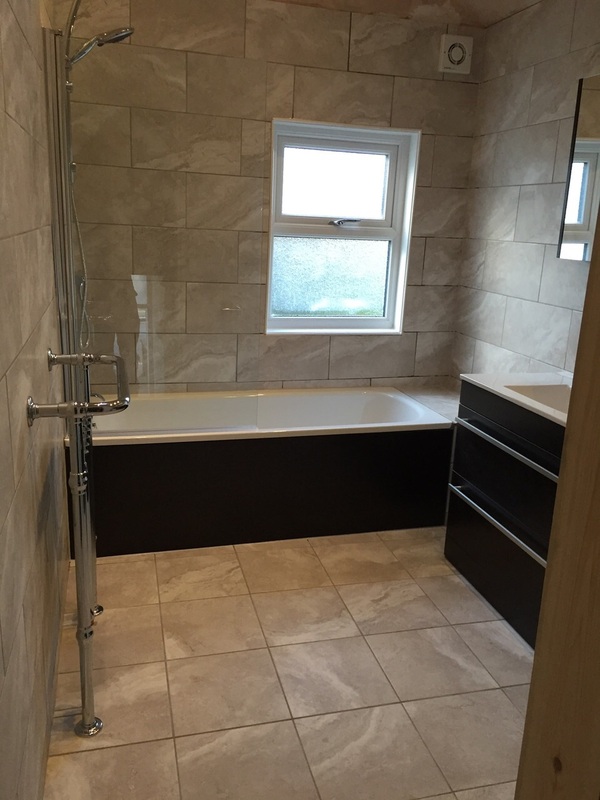 Including electrics, plumbing, wall tiling and floor tiling. 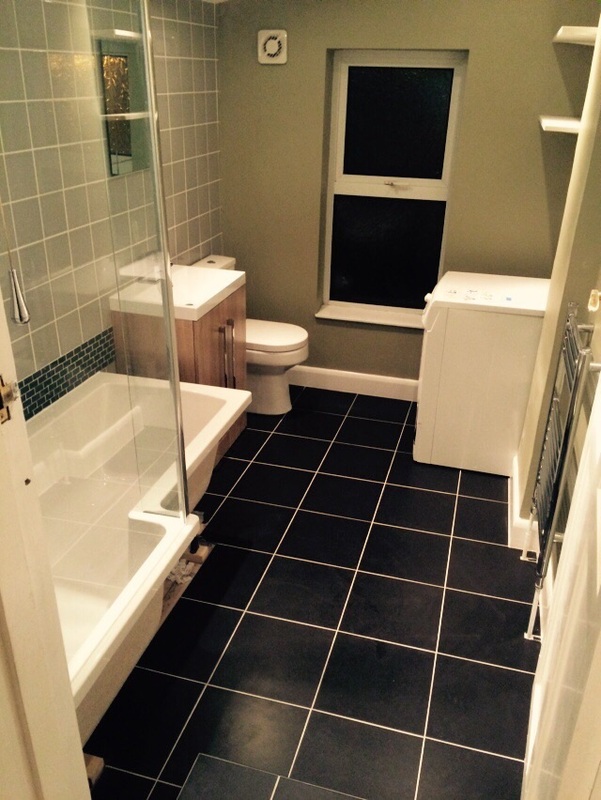 Full Bathroom refit completed in Downswood. 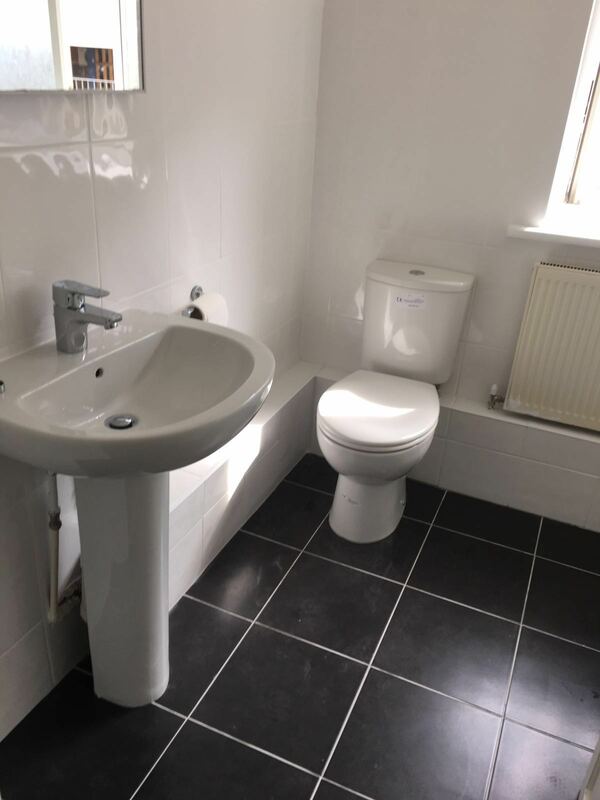 Including Wall and Floor Tiling, plumbing and electrics. 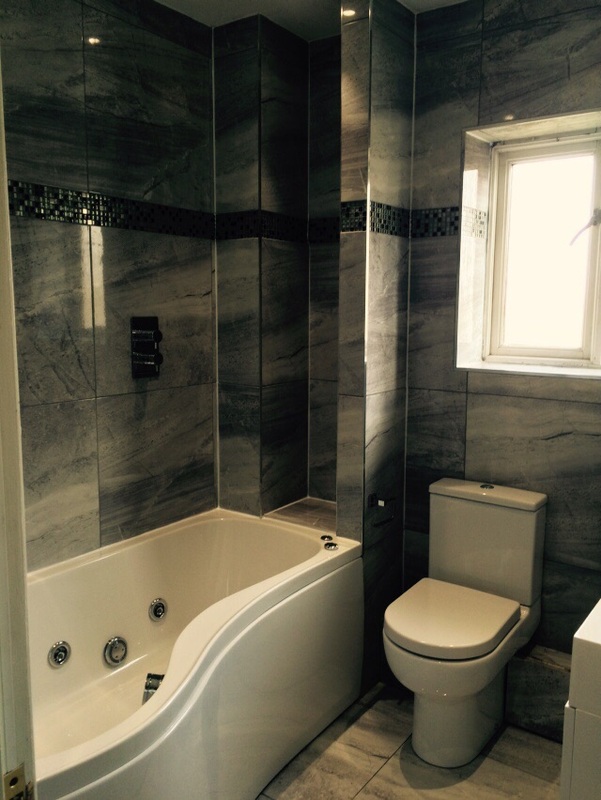 Full Bathroom refit completed in Bromley. 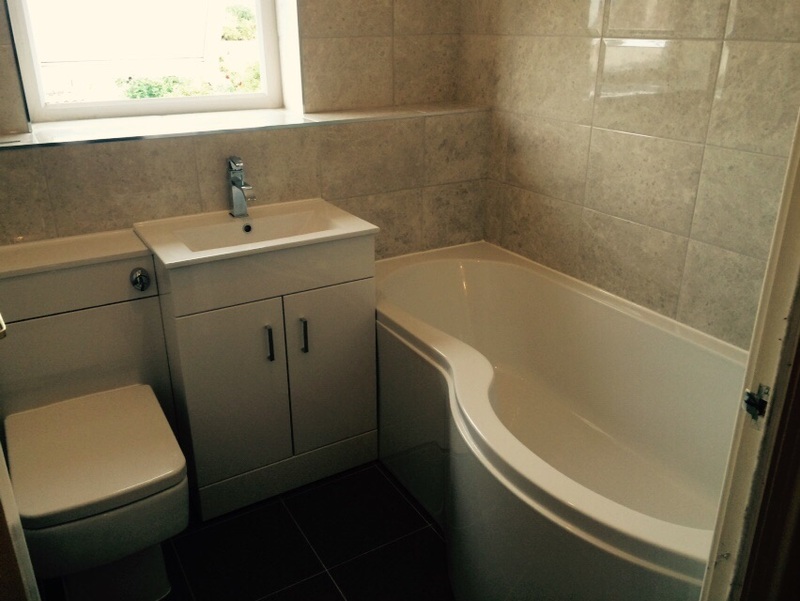 Full Bathroom refit completed in Paddock Wood Including Plumbing, Wall and floor timing. 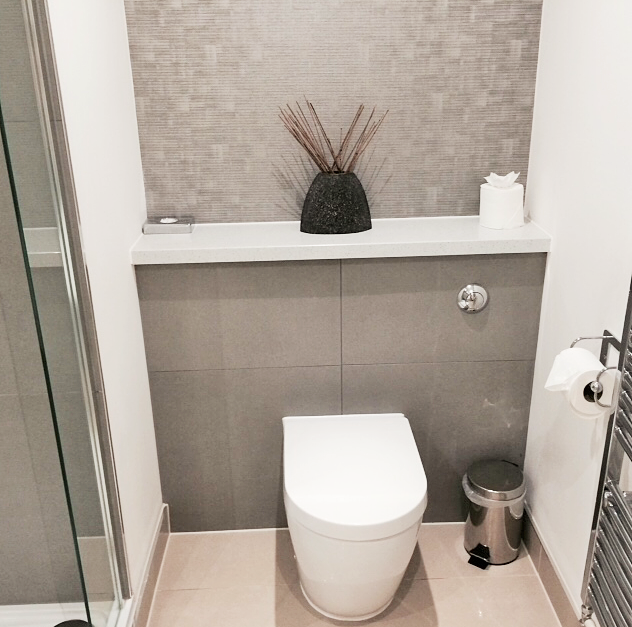 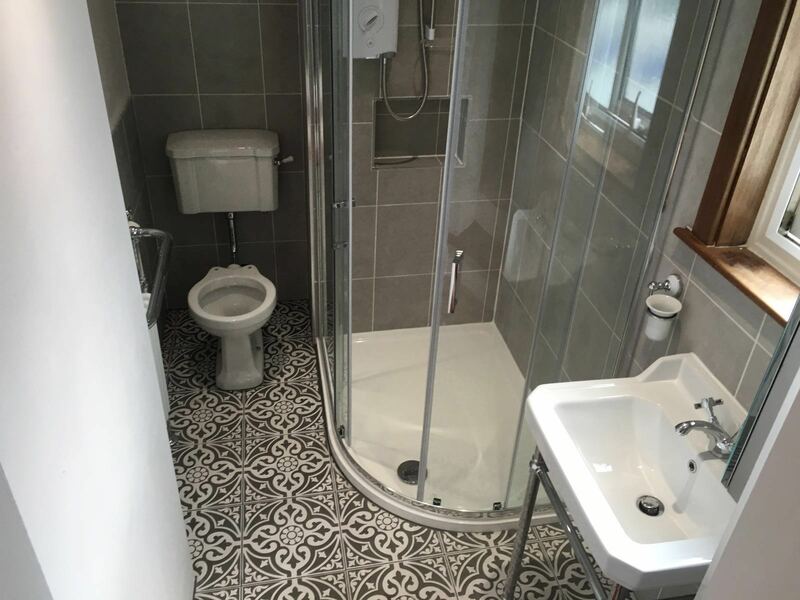 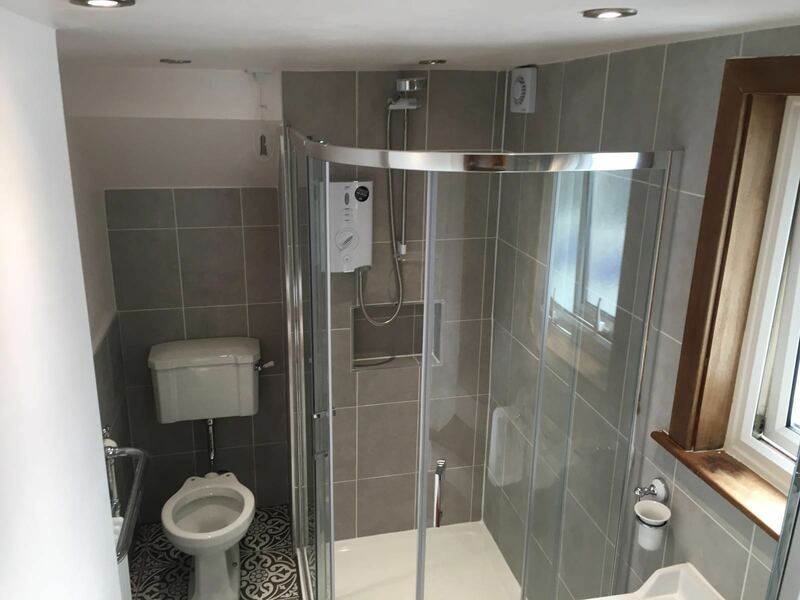 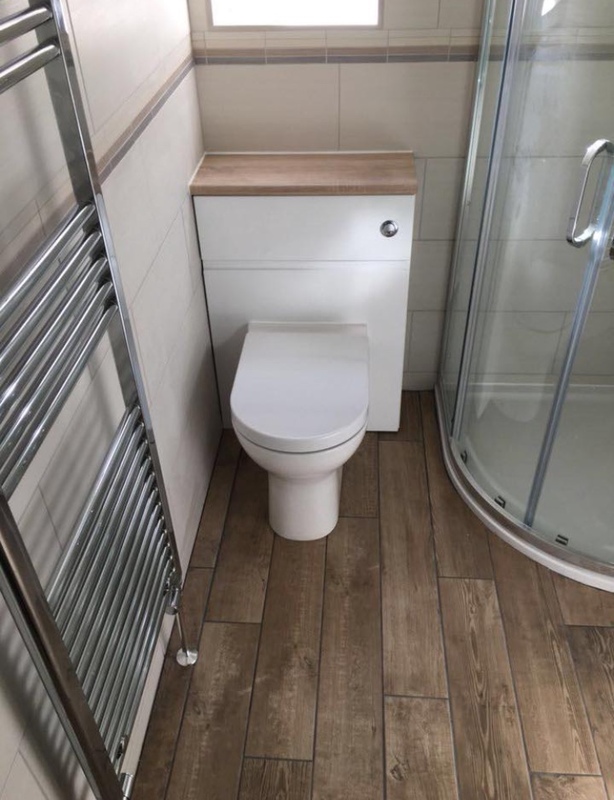 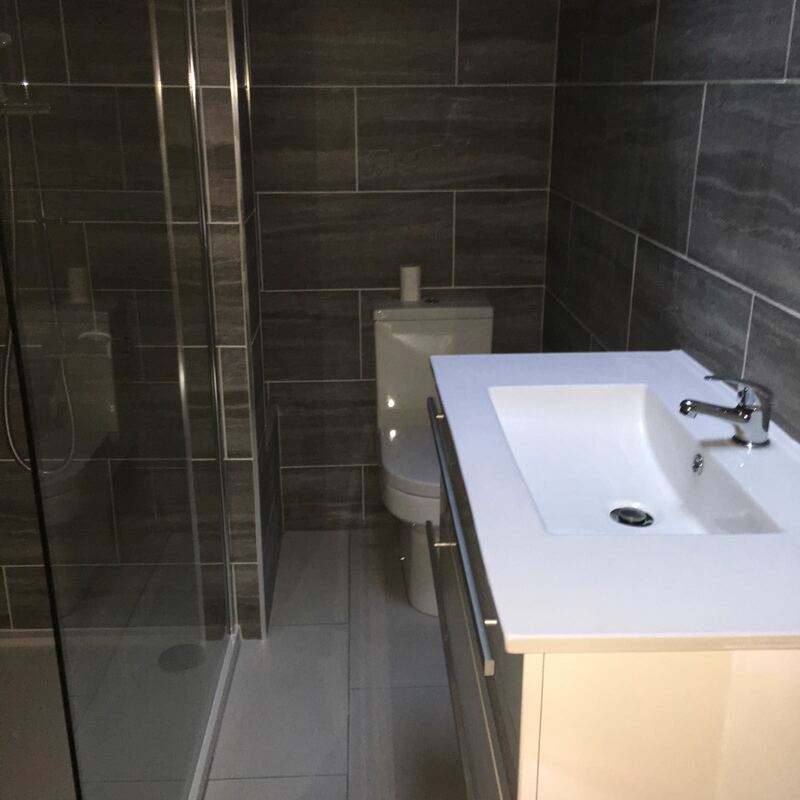 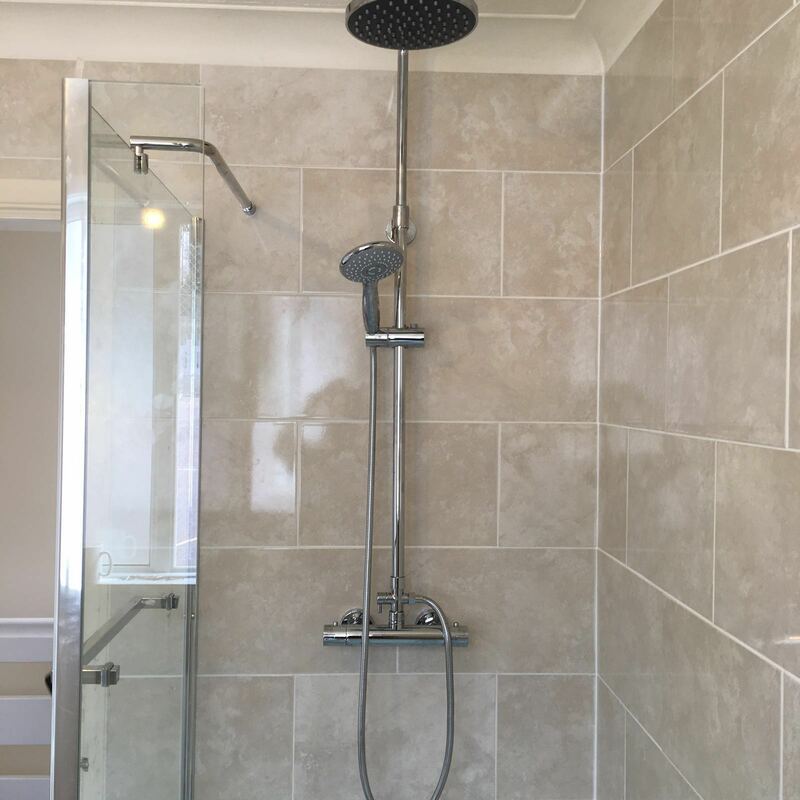 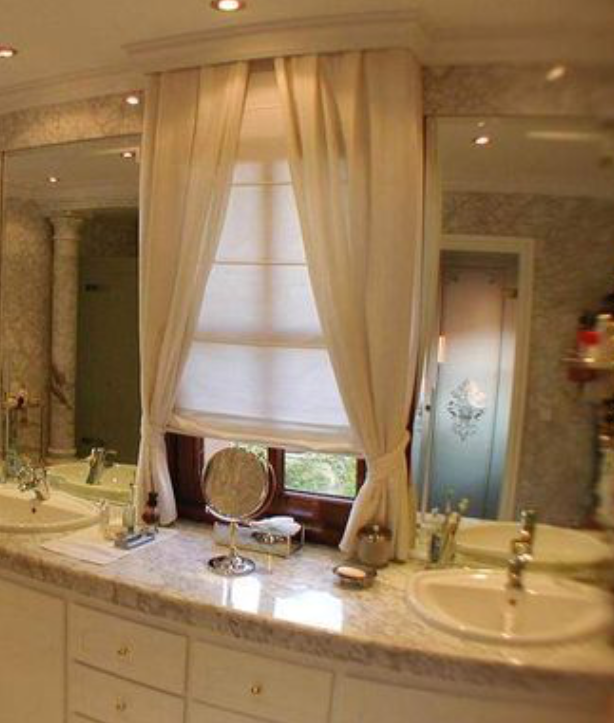 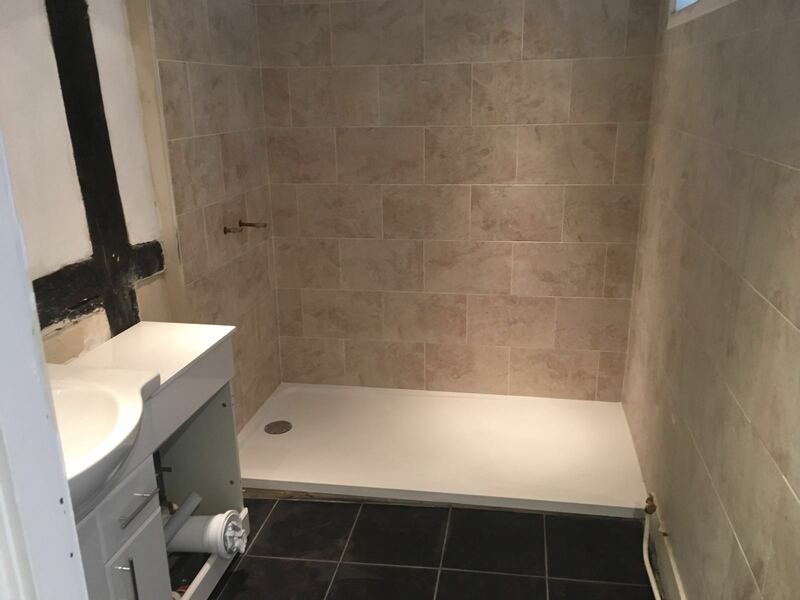 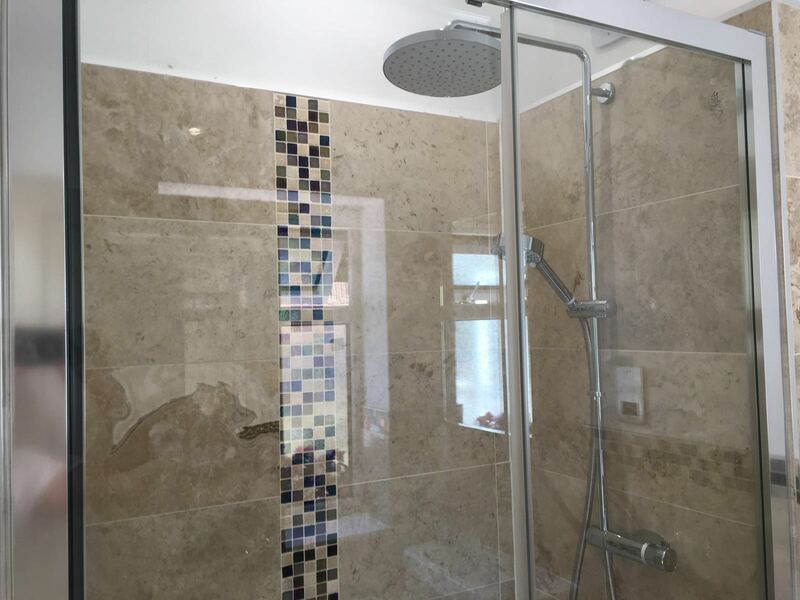 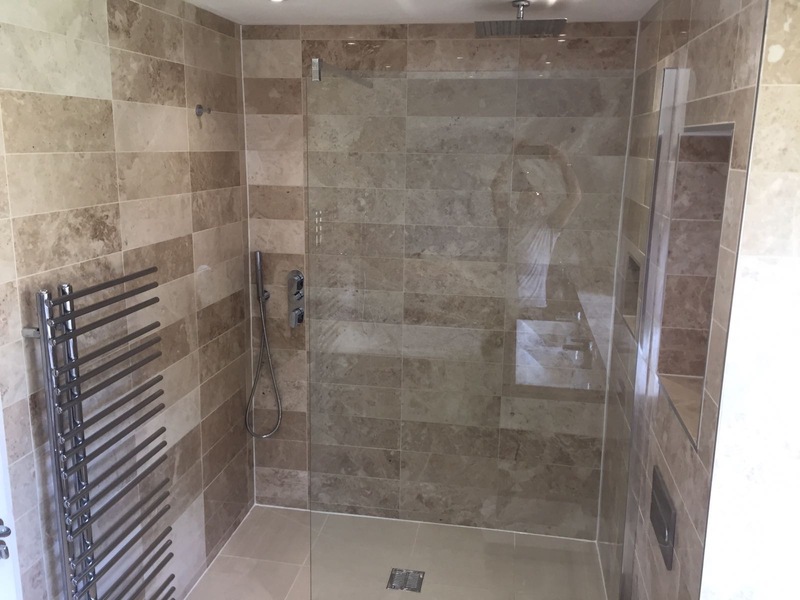 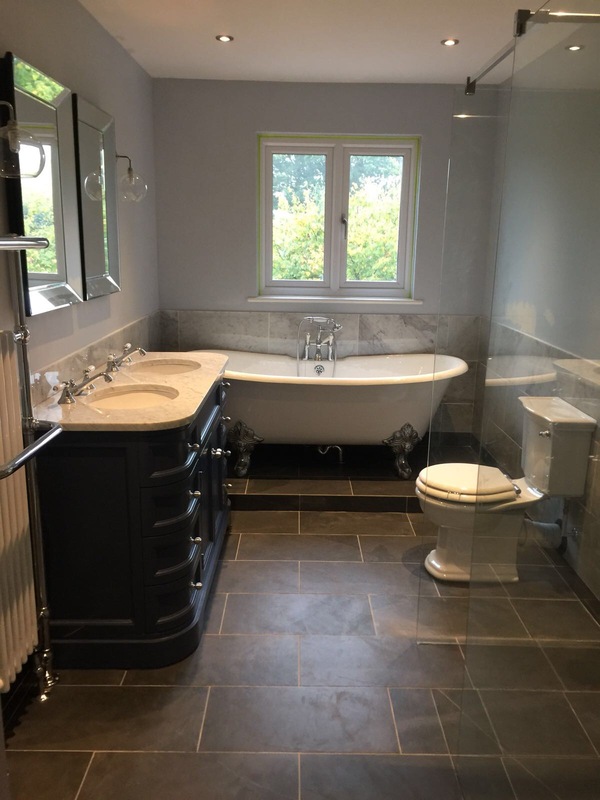 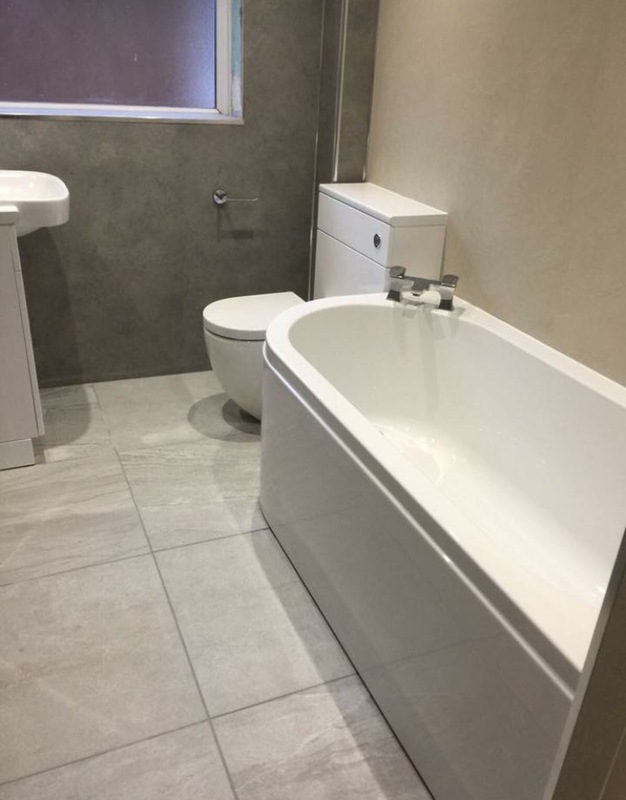 Full Bathroom refit West Malling including Tiling, Flooring plumbing and electrics. 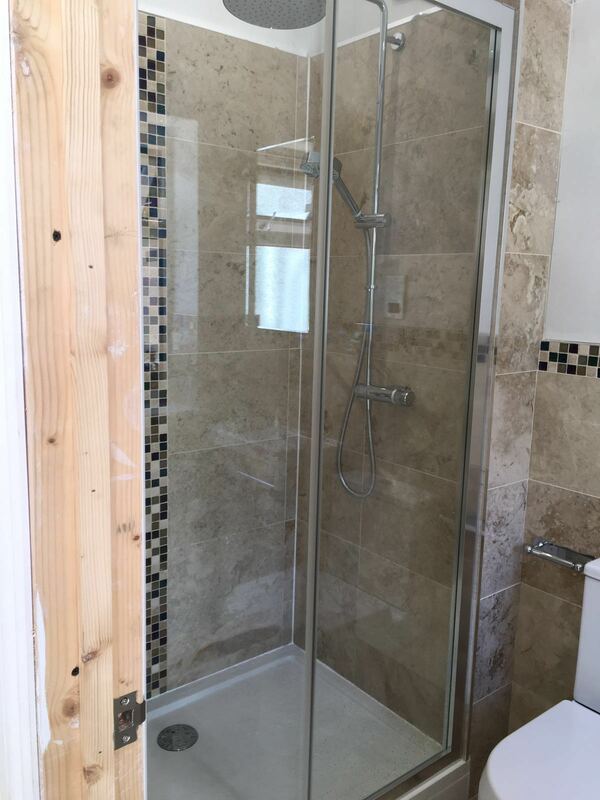 Full Bathroom refit in Pembury. 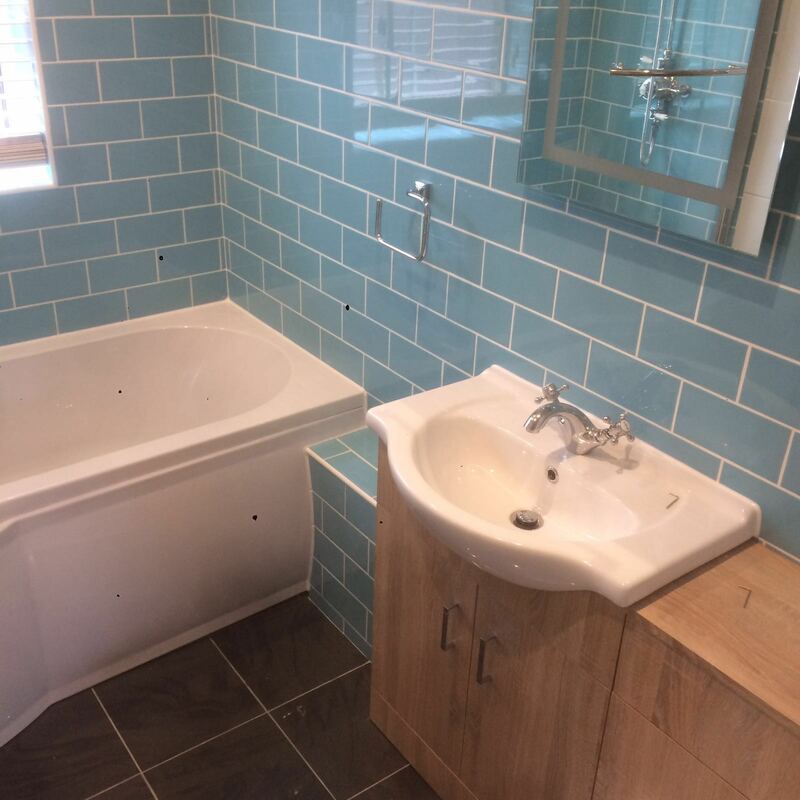 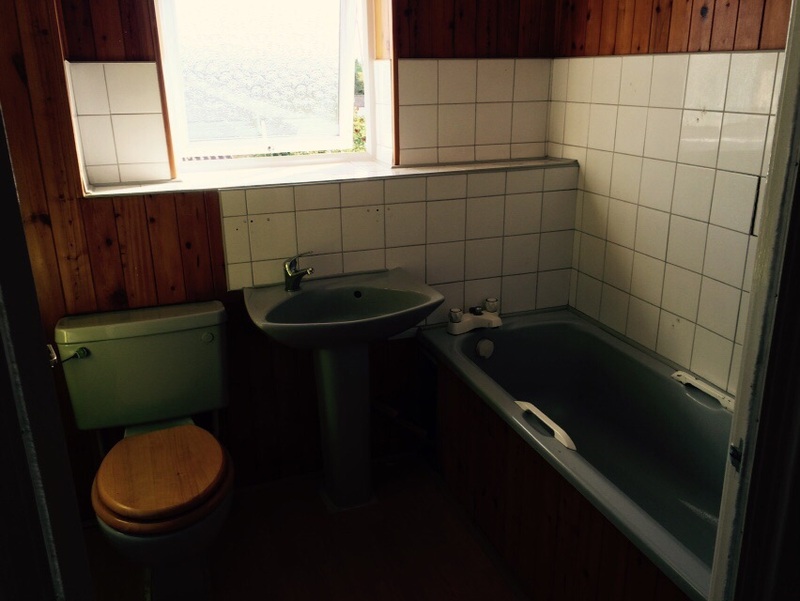 Including Cladding, New Celling, New Toliet, sink, Bath & Shower, plumbing, Electrics and new Floor and Wall Tiling. 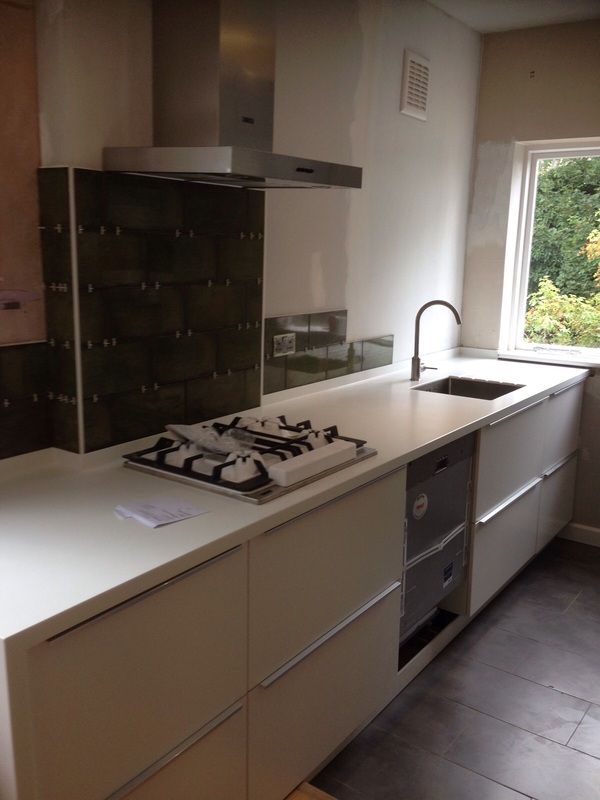 Full Kitchen Refit in Brockley. 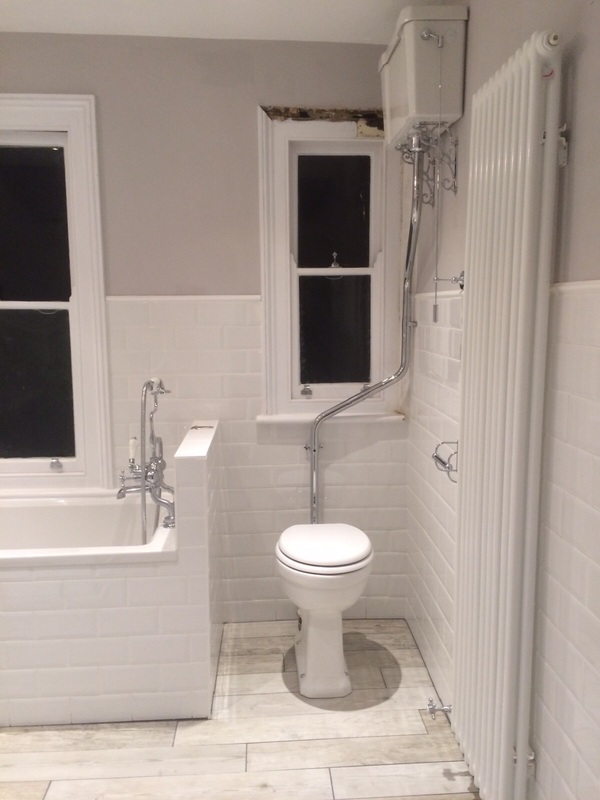 Including New celling, Dry Lining, Wall and floor Tiling, Gas, Electrics & Plumbing. 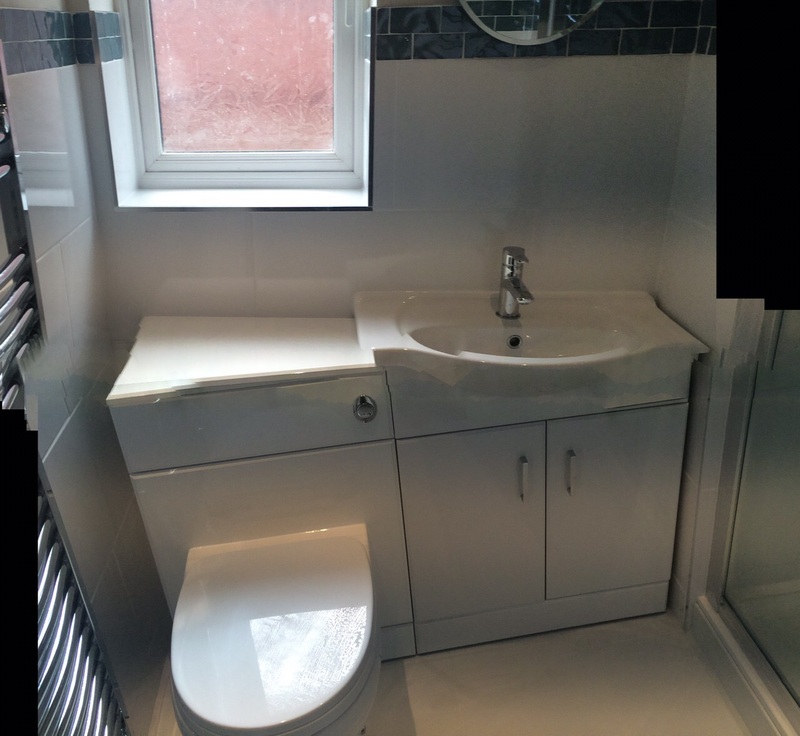 Full Bathroom Refit including Tiling & Plumbing. 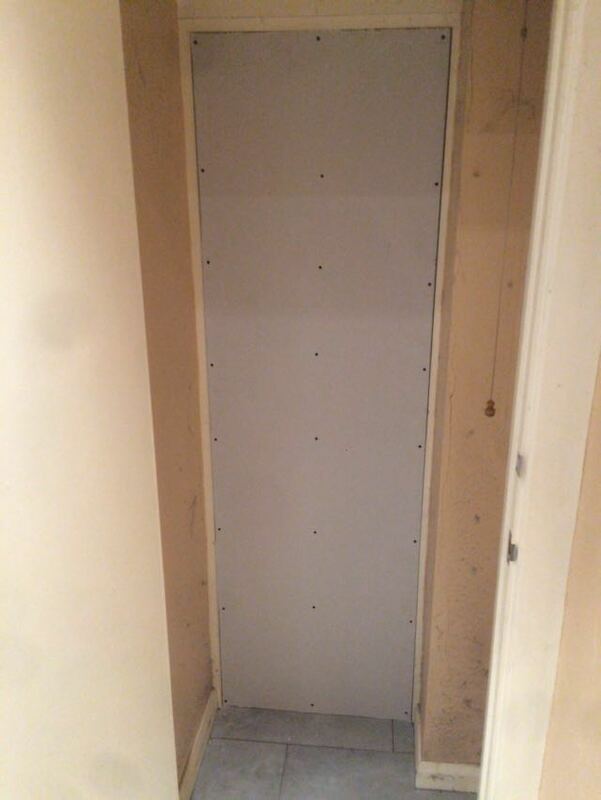 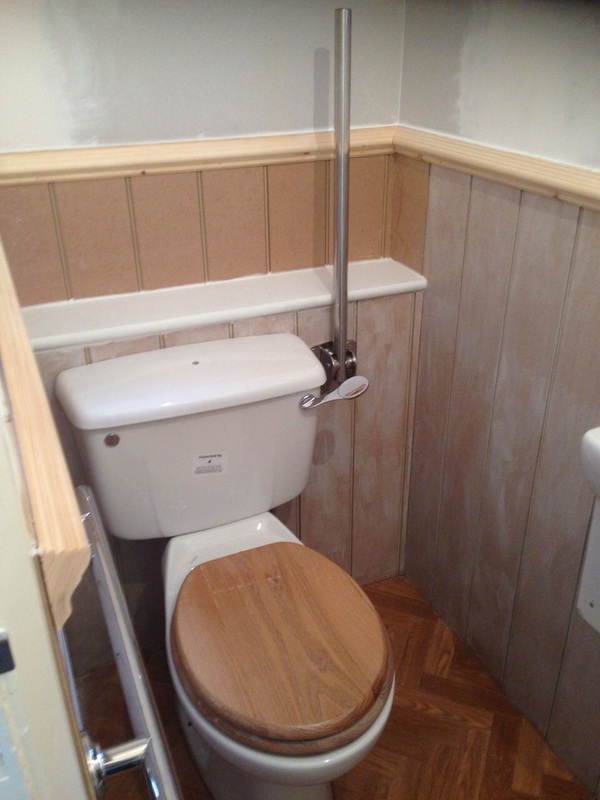 Downstairs Toliet/Cloakroom refit in Ealing. 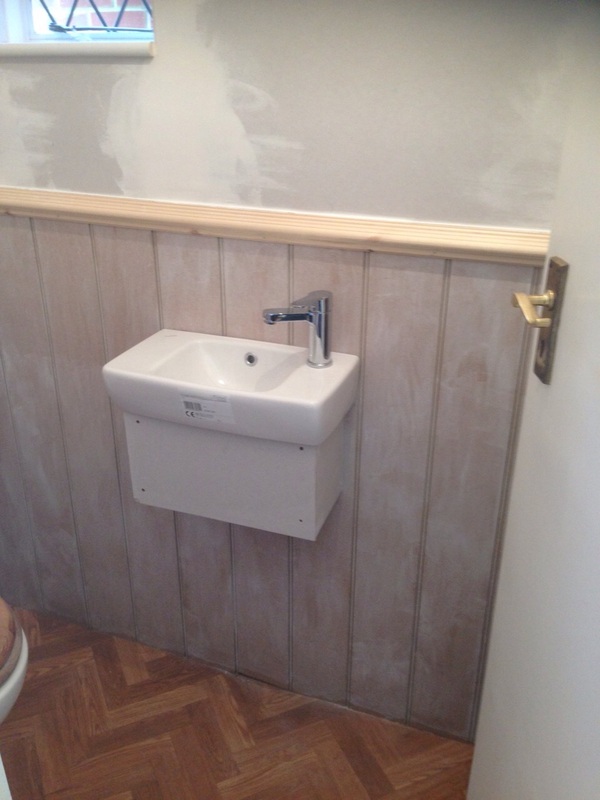 Including new walls, ceiling, cladding, toilet, sink, pull up rails & new floor. 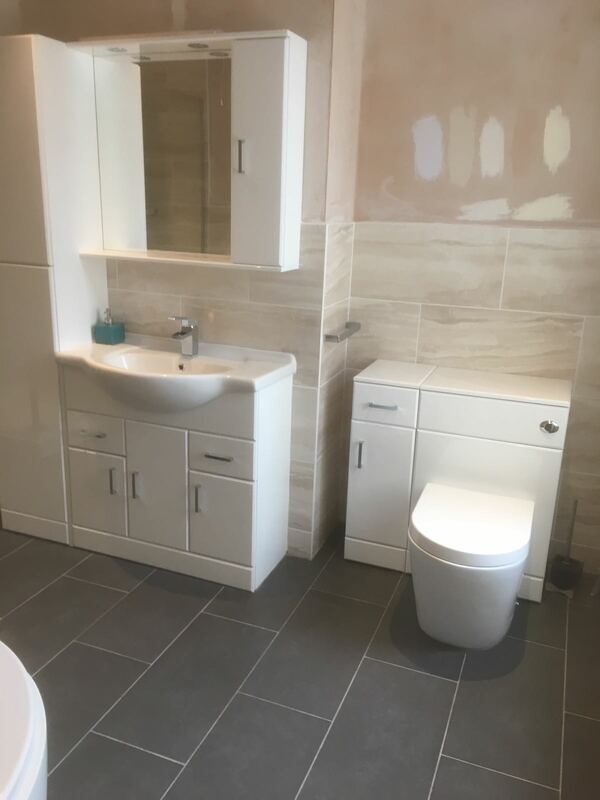 Full Bathroom refit in Eltham. 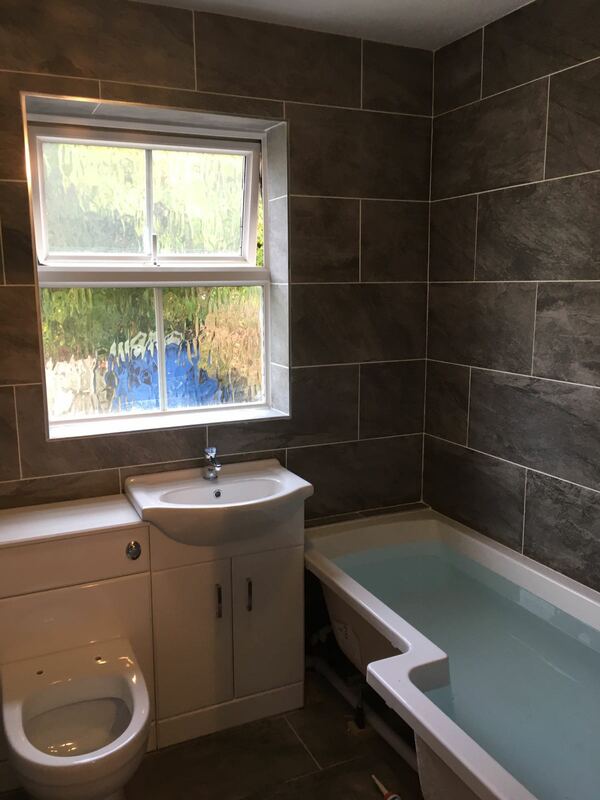 Full Bathroom Refurb in Tonbridge. 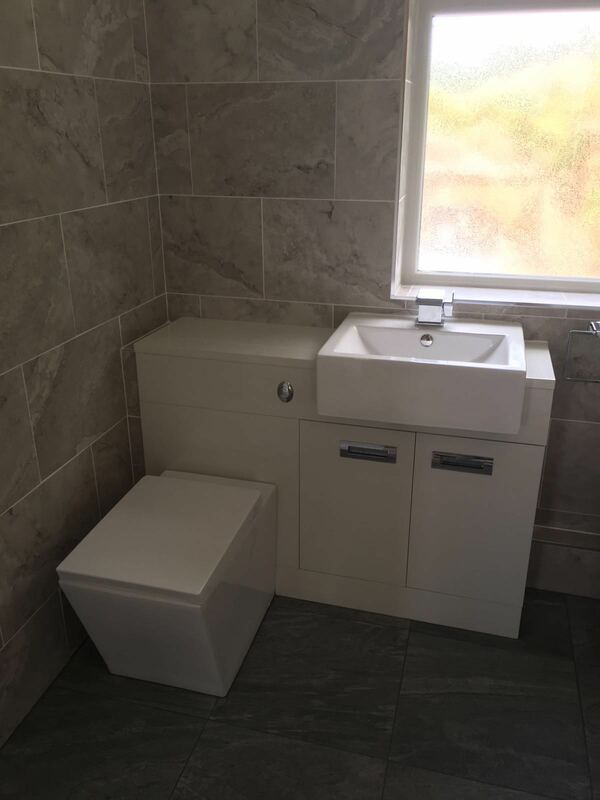 Bathroom Fit in Ditton, including plumbing, new sink, toilet and wall tiling. 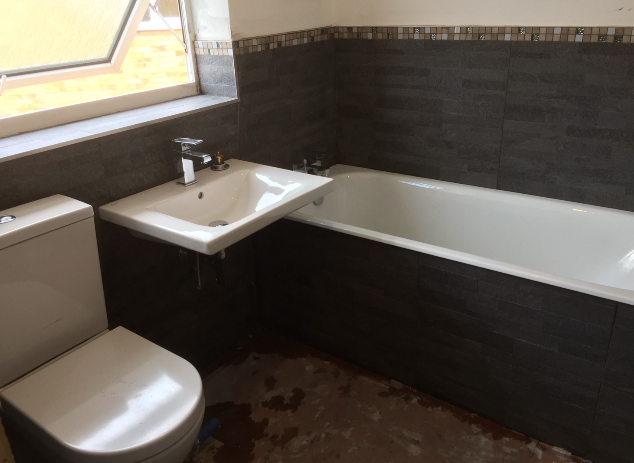 Full Bathroom Refit in Sidcup including new plumbing, boiler, plastering, wall tiling, Floor tiling , painting and decorating. 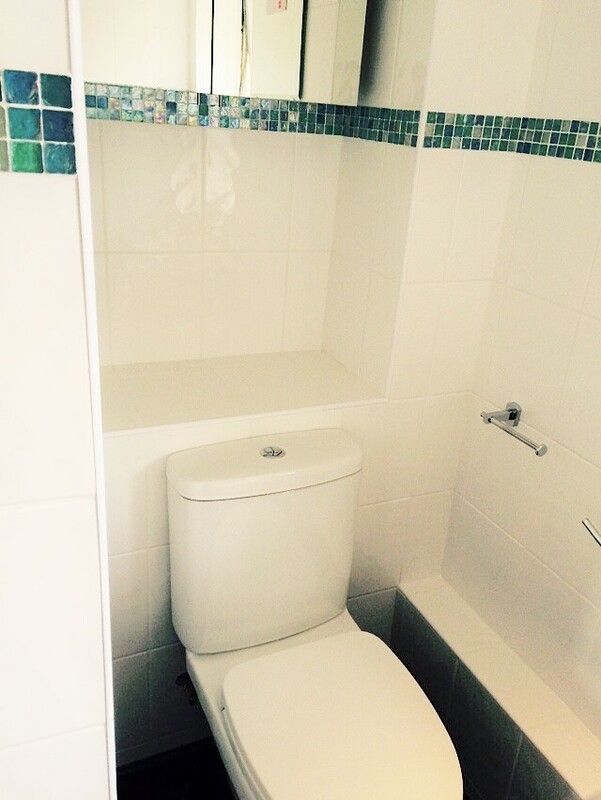 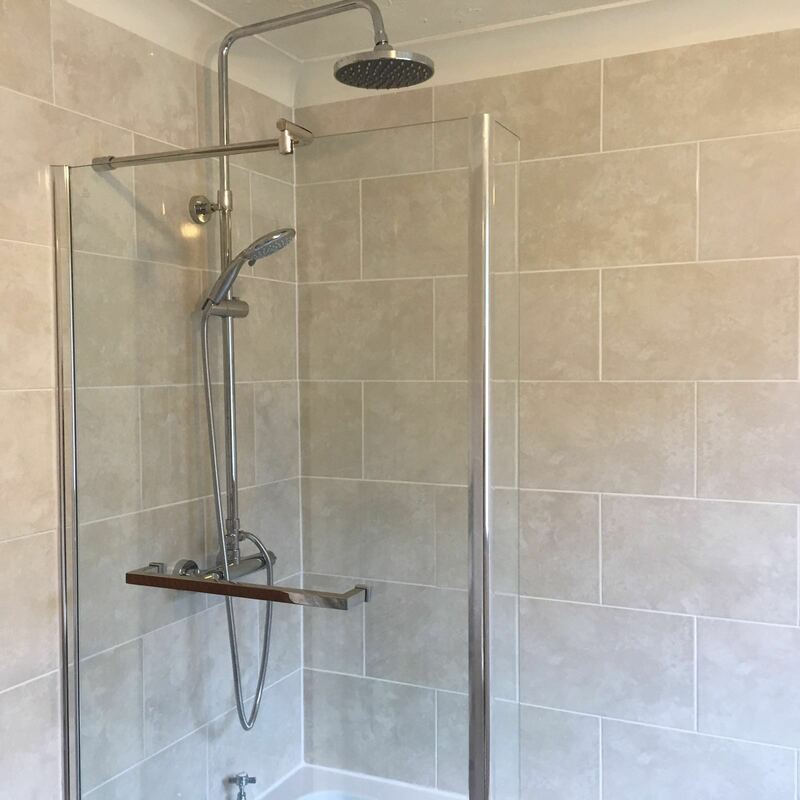 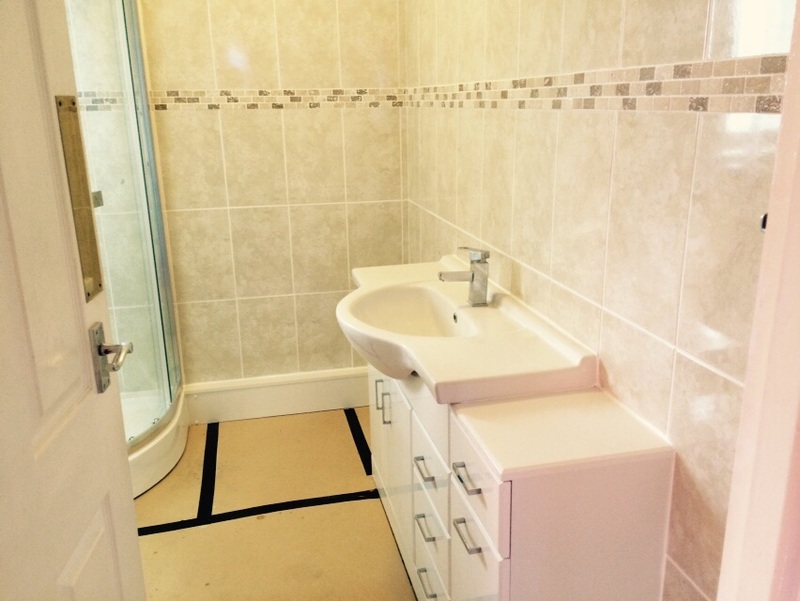 Full Ensuite Refit in Sittingborne this included plumbing, electrics, new celling, wall and floor tiling. 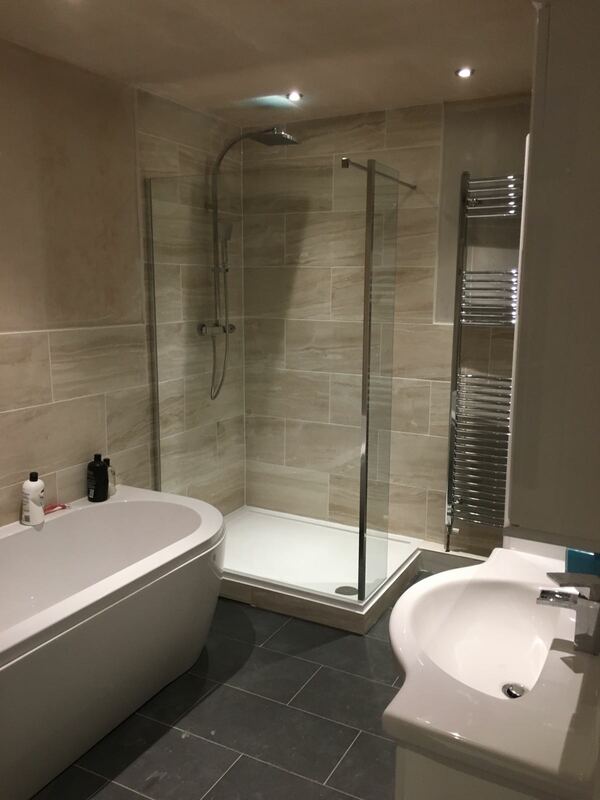 Bathroom Refurb completed including Whirlpool Bath, building shelves , spot lights, under floor heating, cabinet lighting, Wall and floor Tiling. 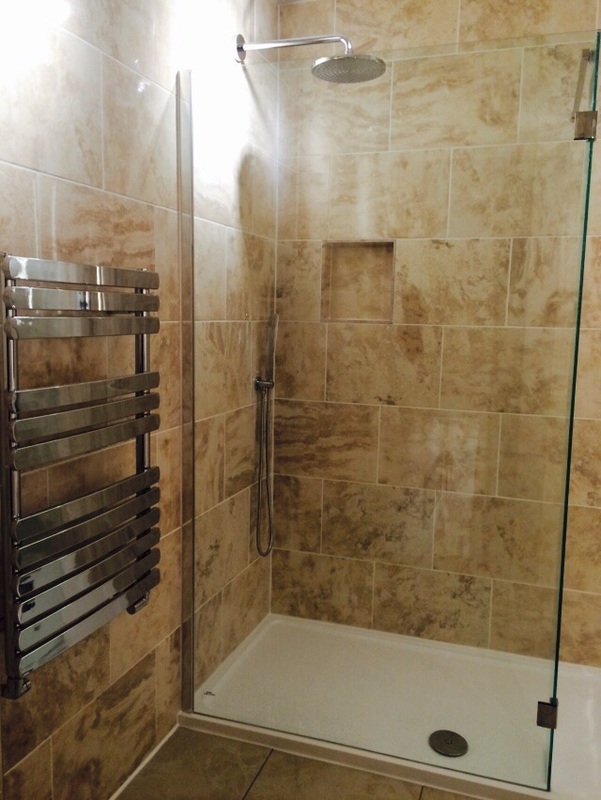 Completed Bathroom Refurb including , Plastered Walls and Celling Under Floor Heating, Spot Light, Wall & Floor Tiling. 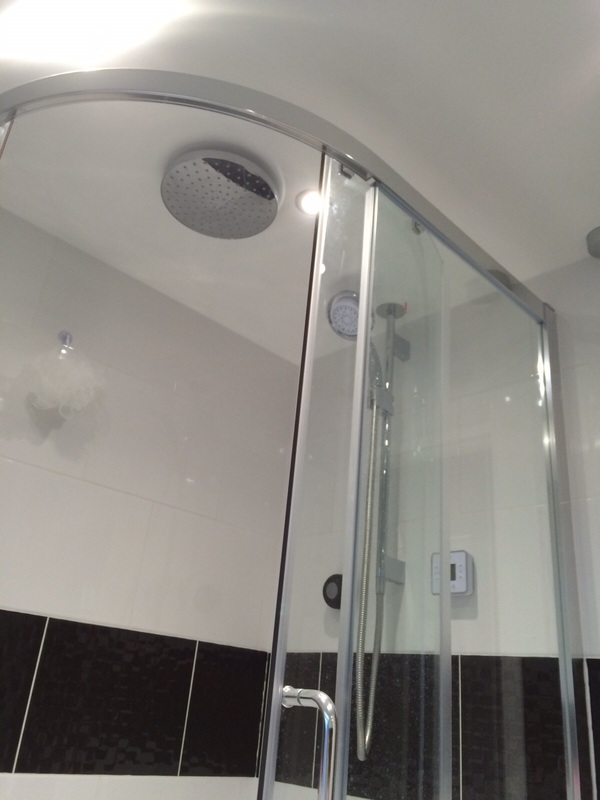 Completed Bathroom Refurb in Ramsgate including new celling, Spot Lights, Plastered Walls, Wall & Floor Tiling.